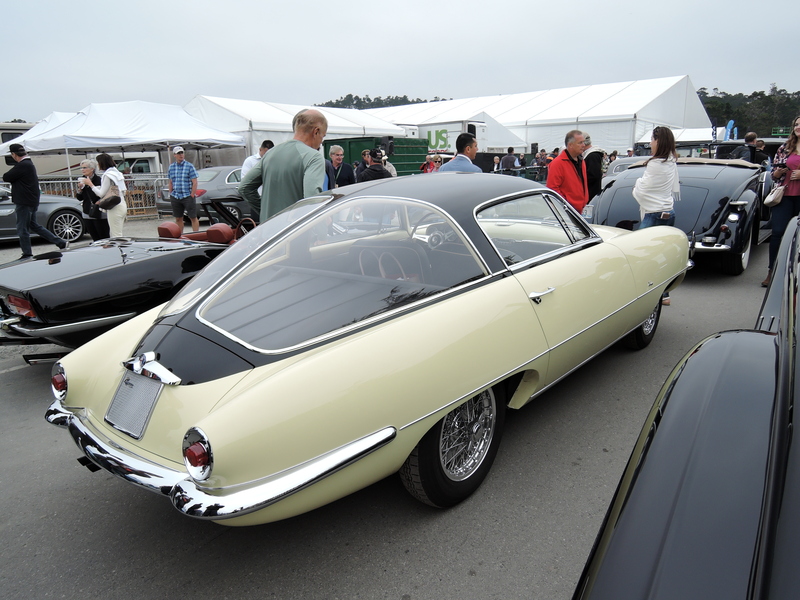 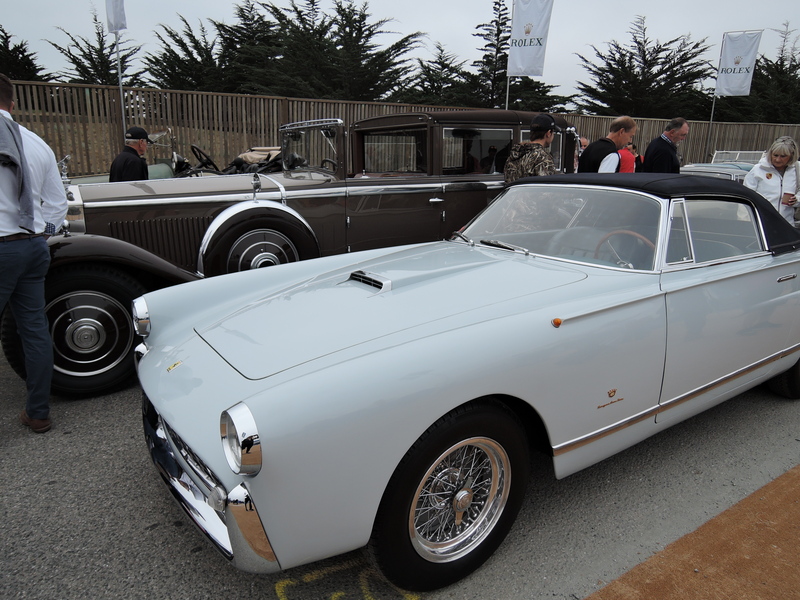 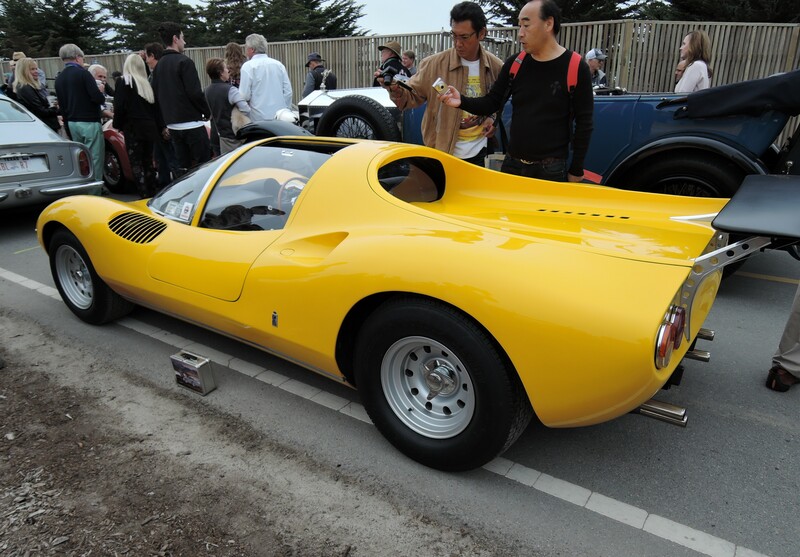 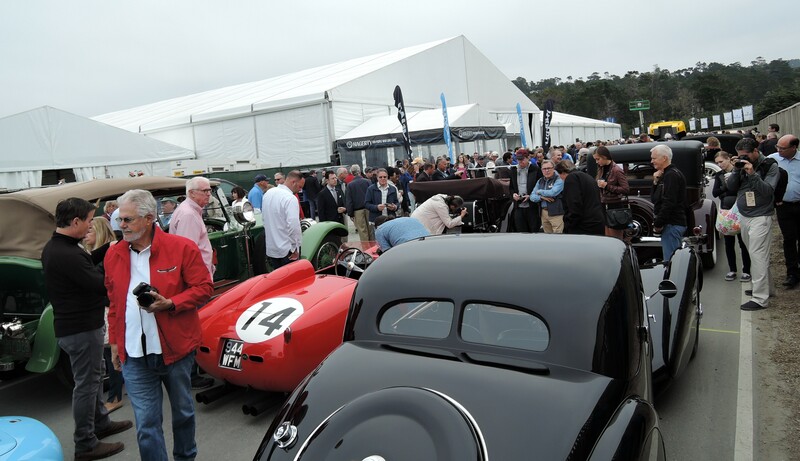 The Pebble Beach Tour d’Elegance is a phenomenal driving tour on Thursday of Monterey Car Week that traces portions of the famed 17-Mile-Drive. 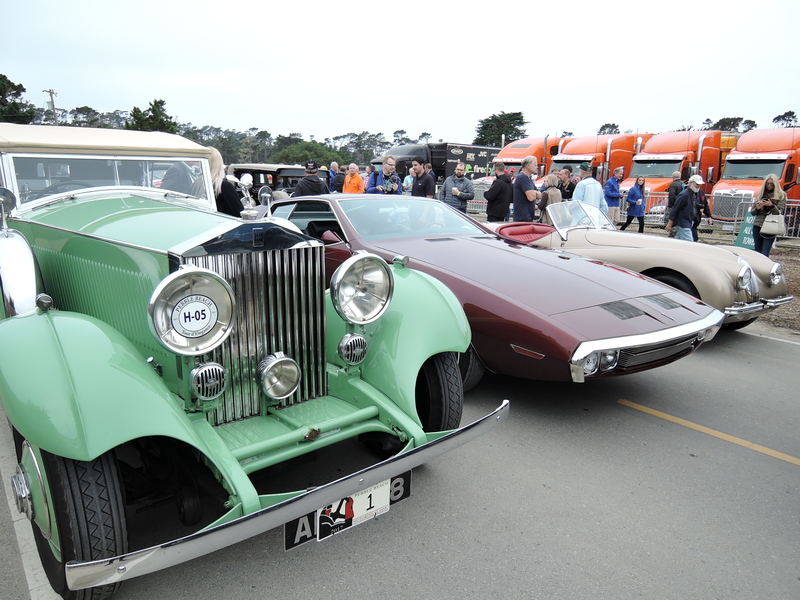 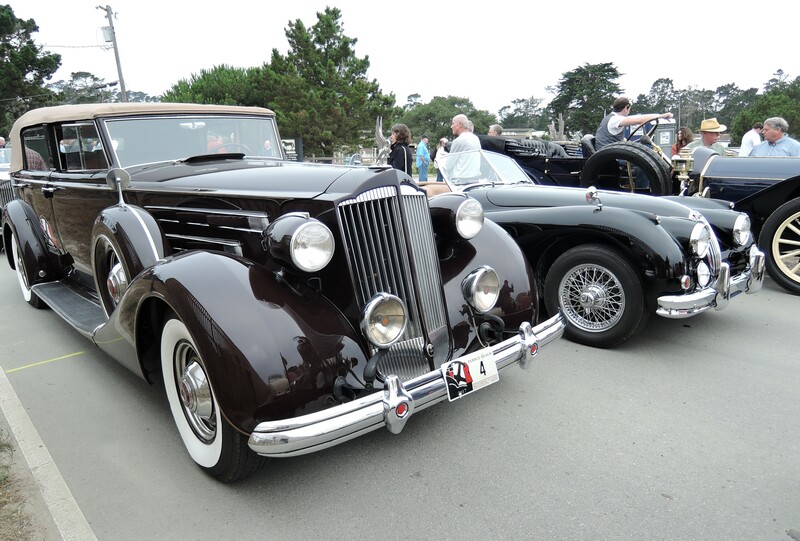 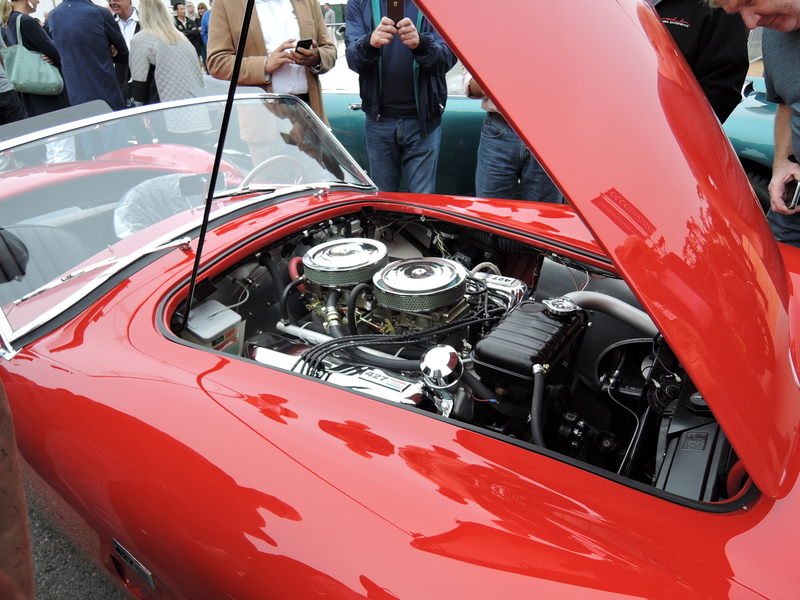 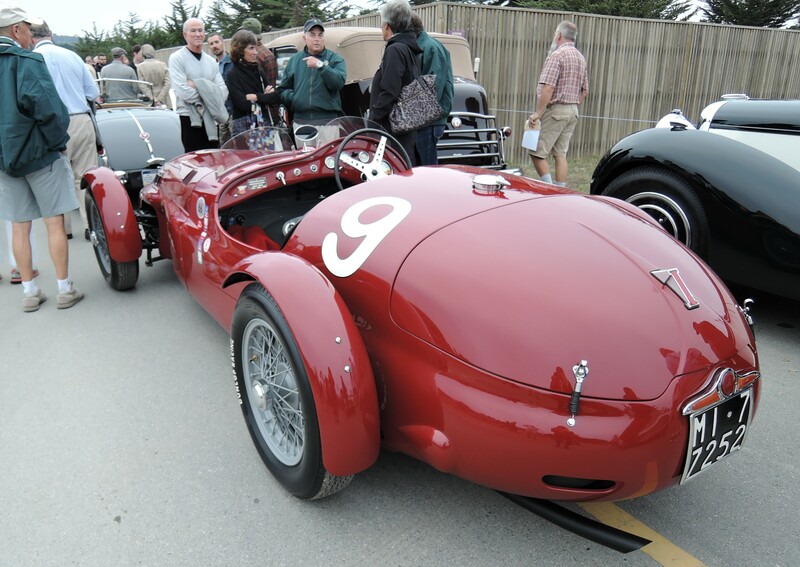 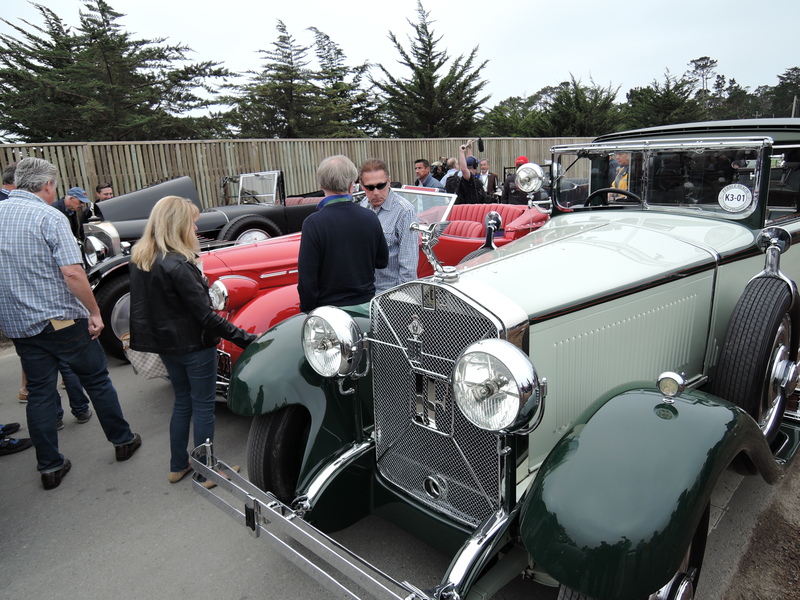 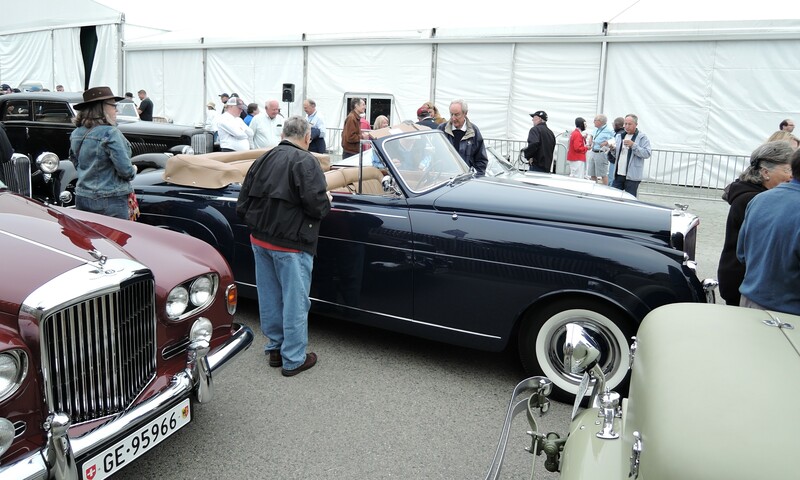 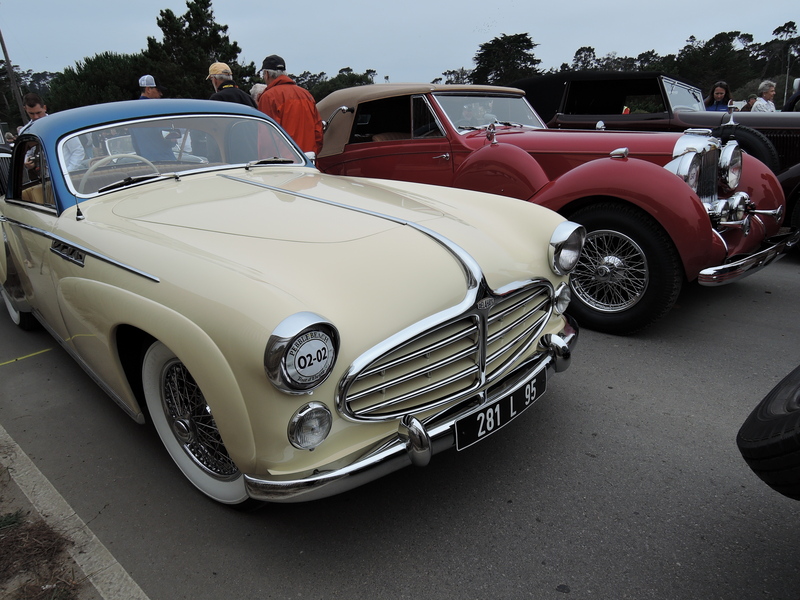 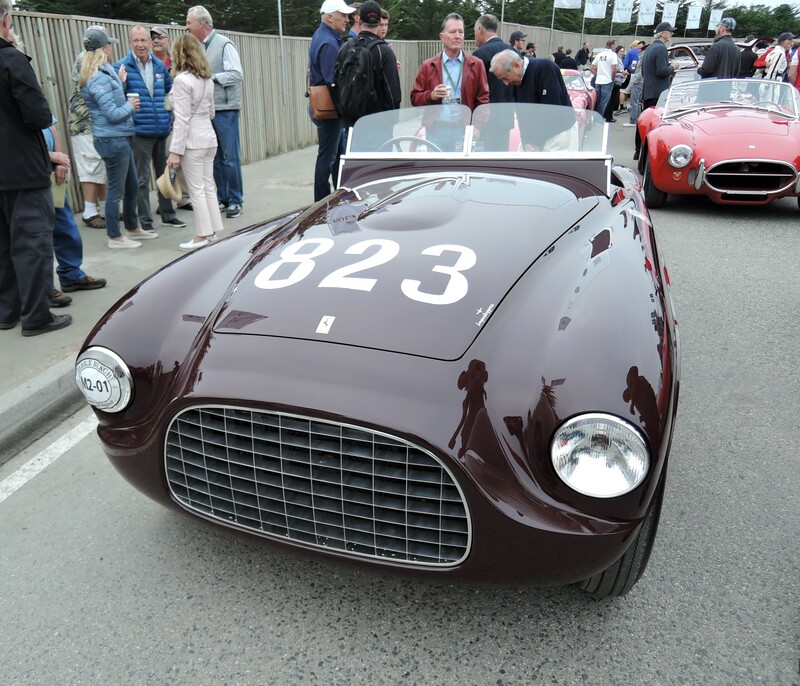 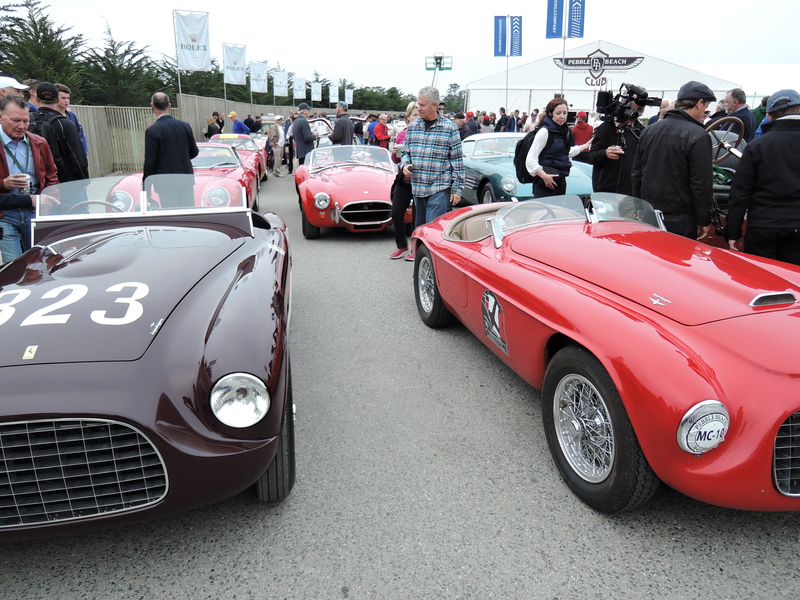 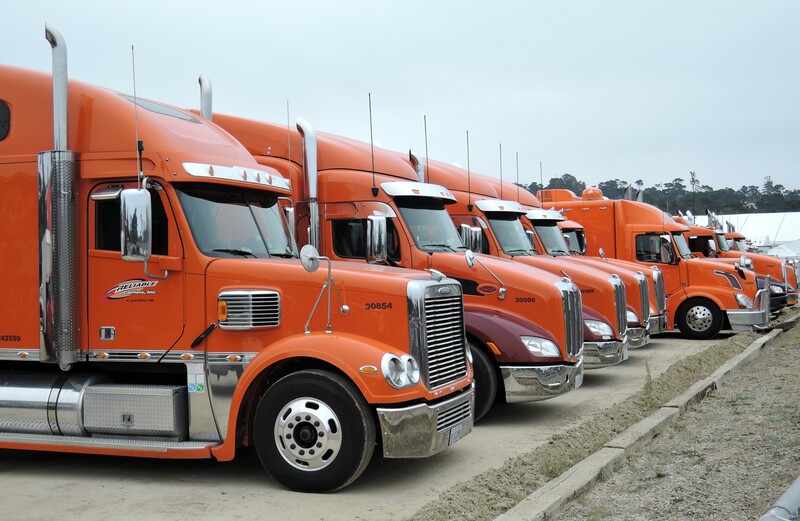 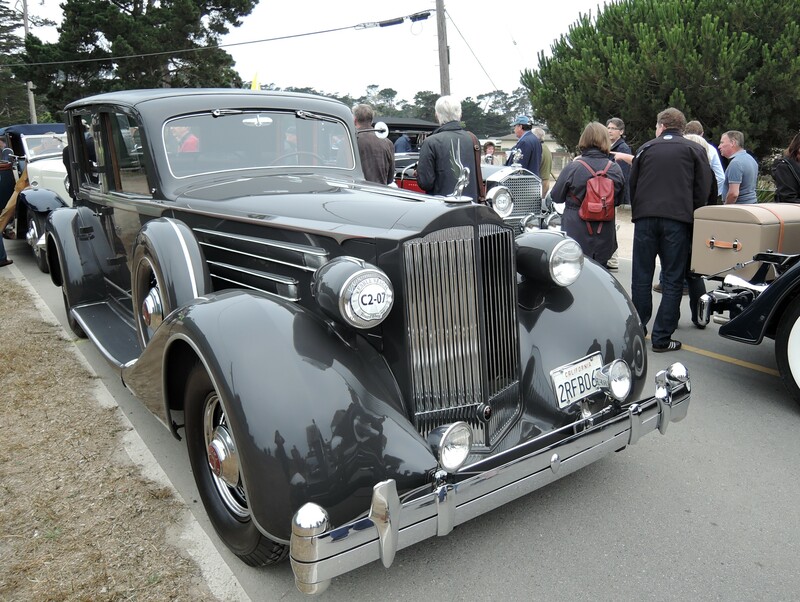 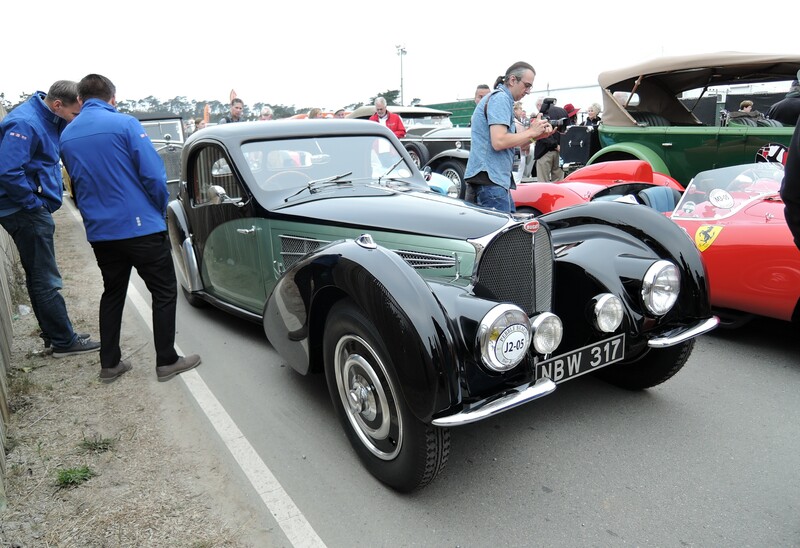 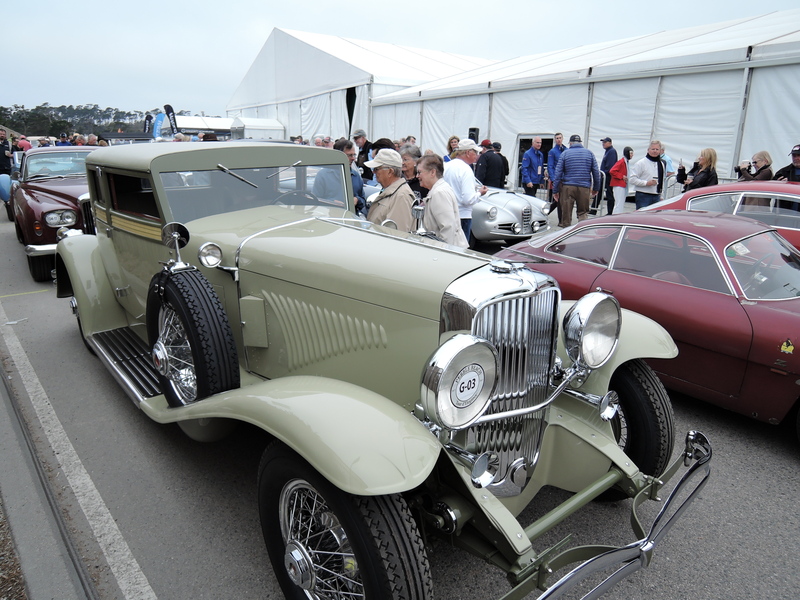 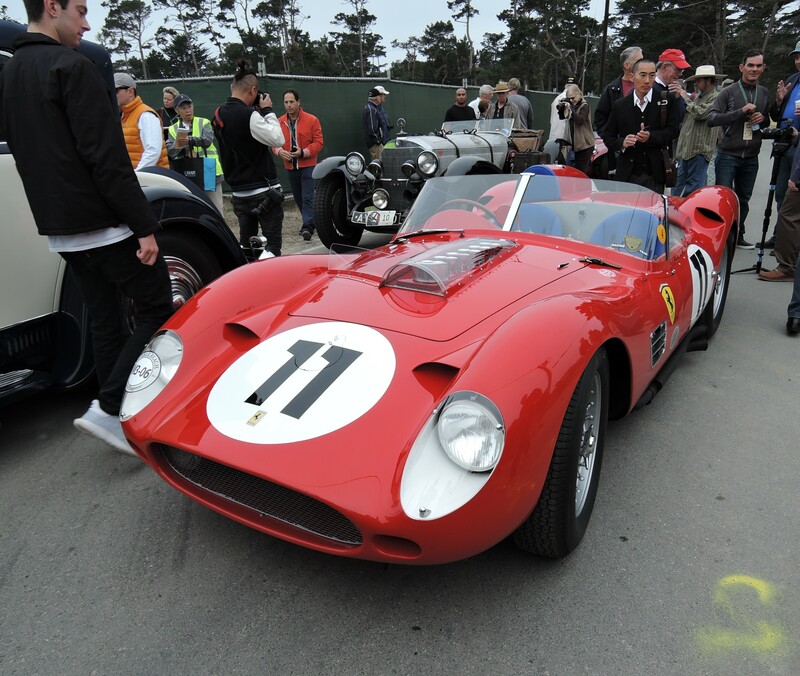 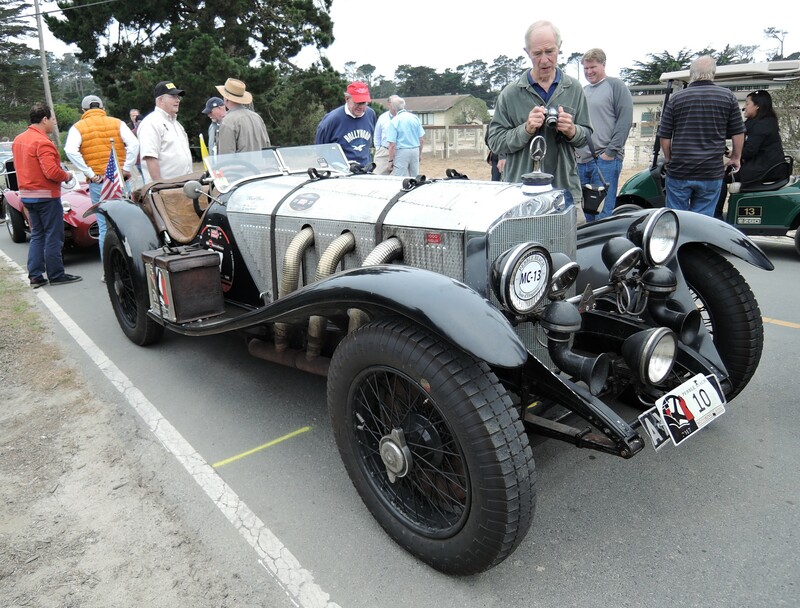 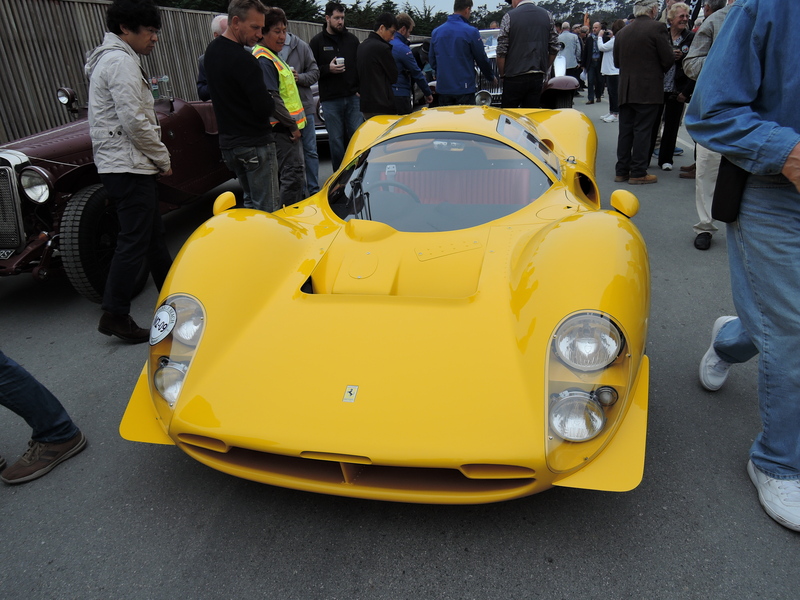 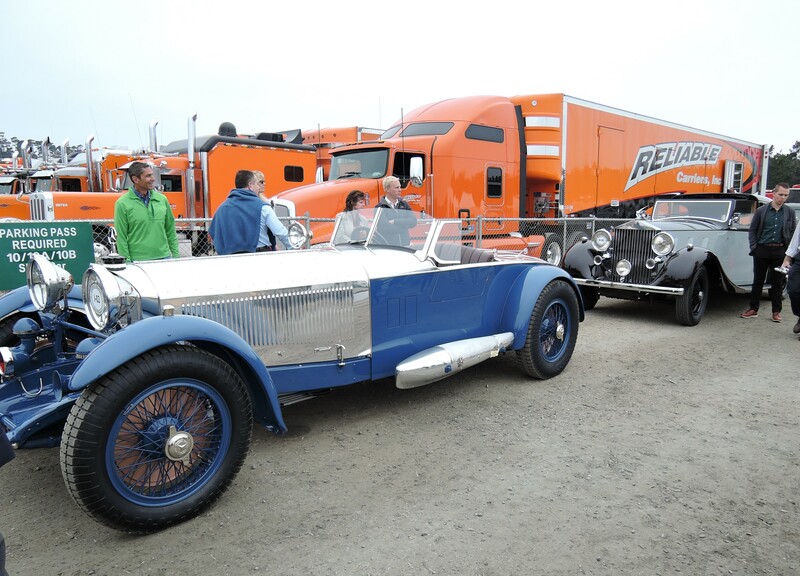 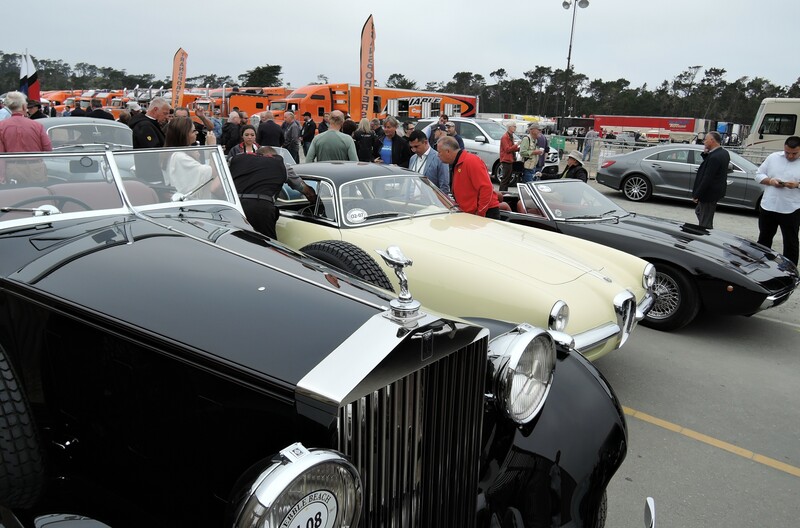 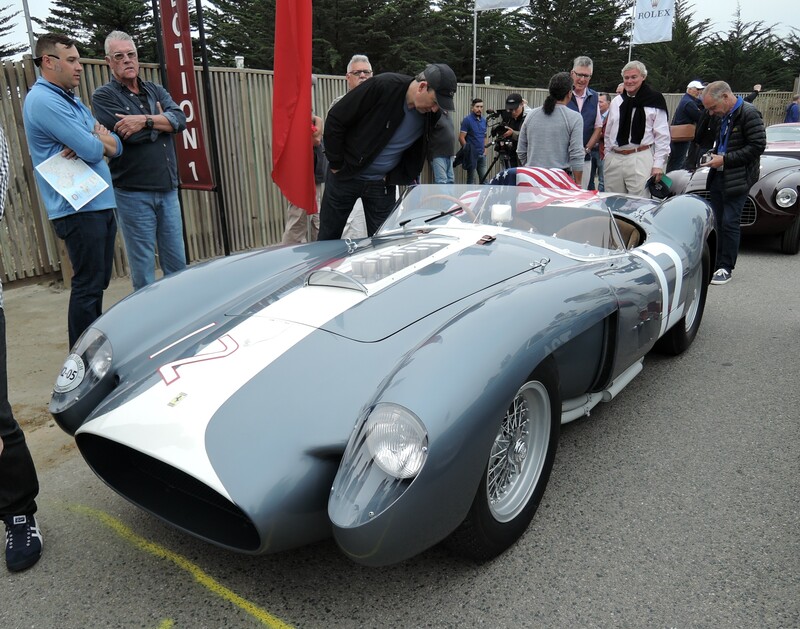 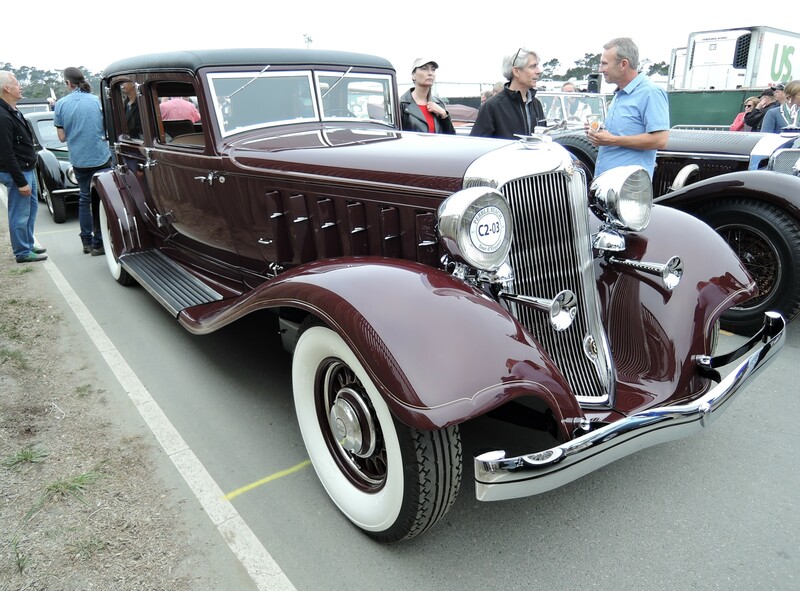 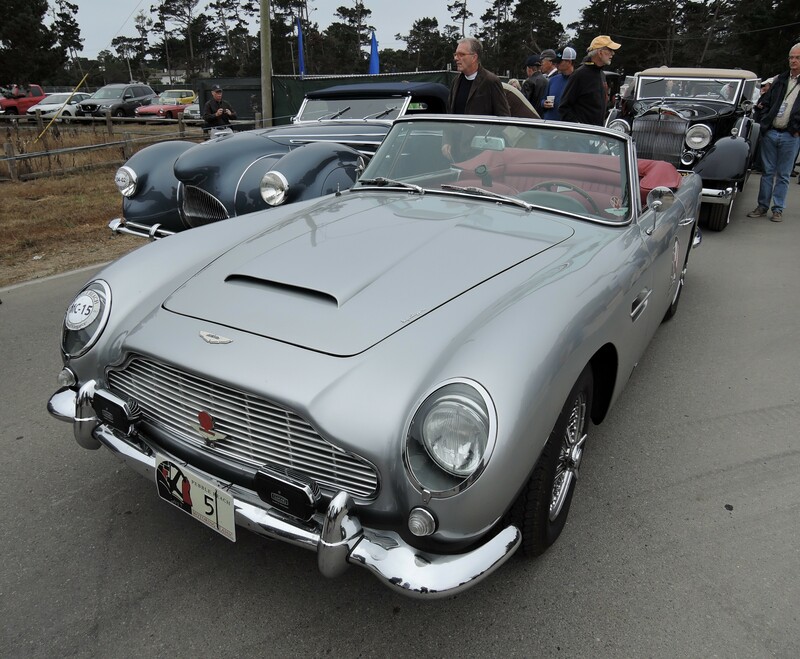 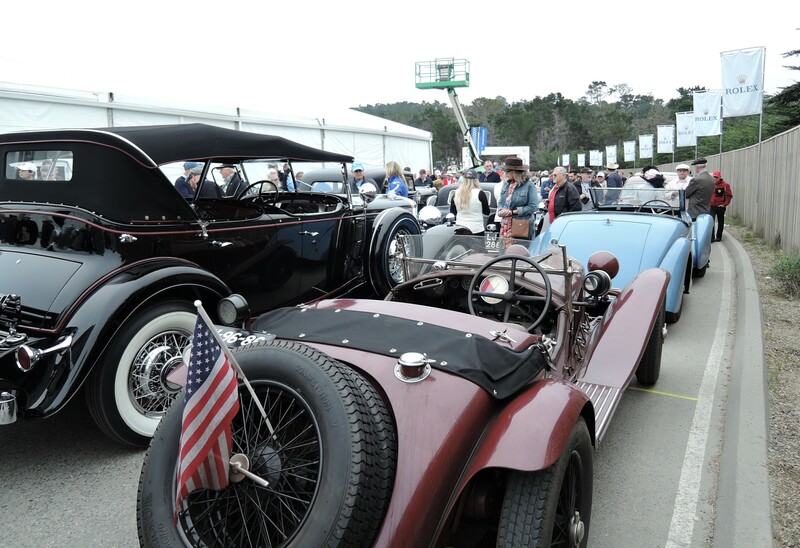 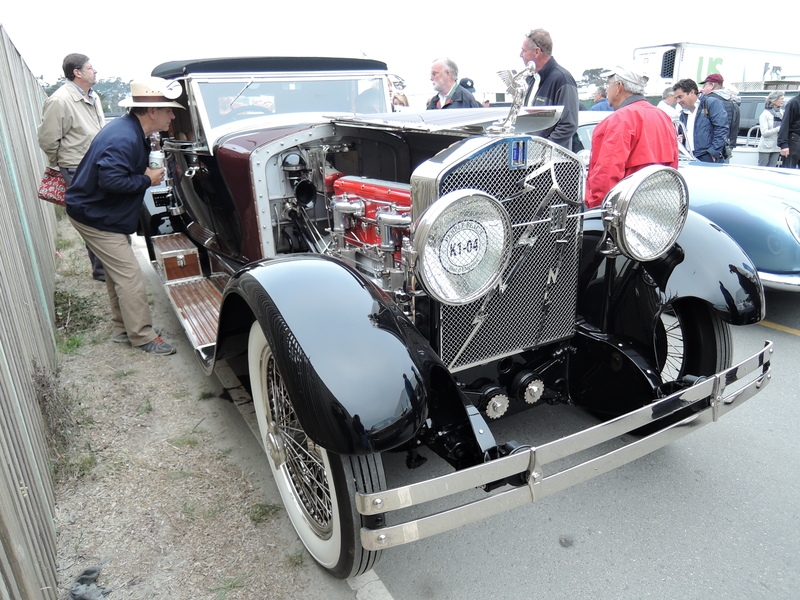 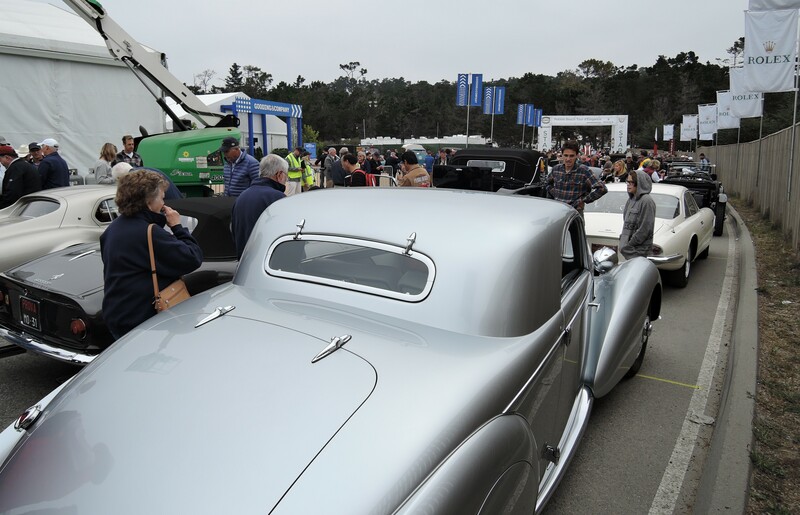 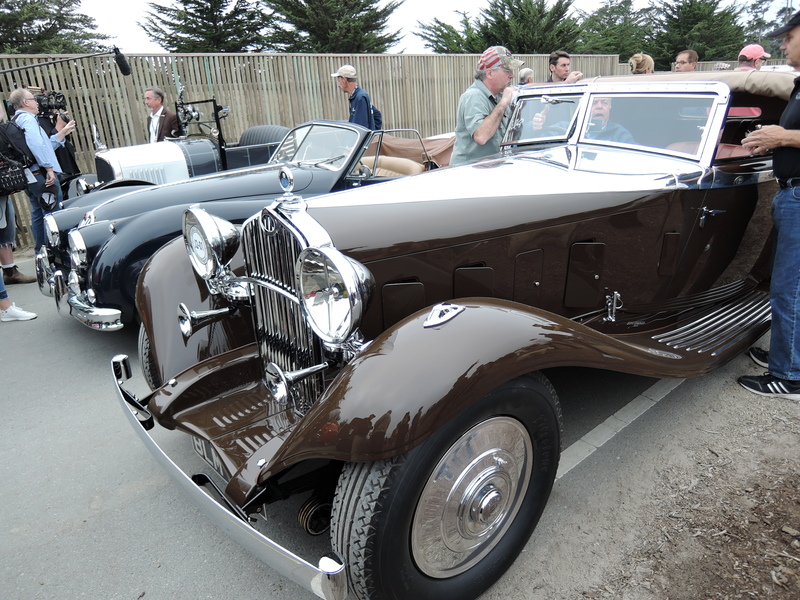 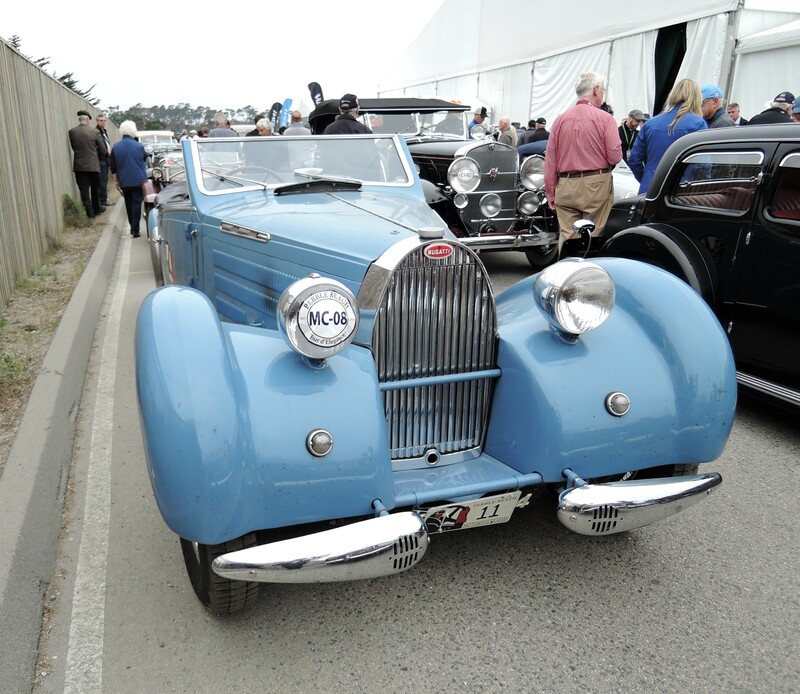 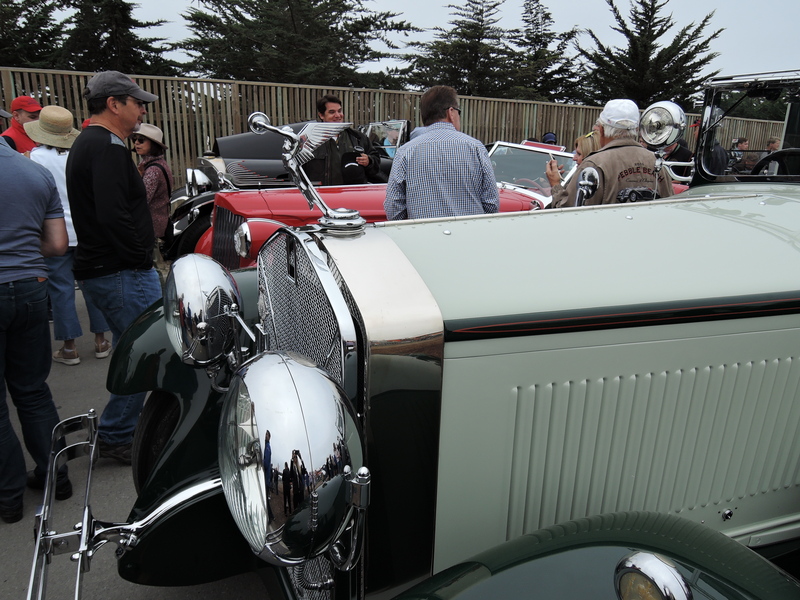 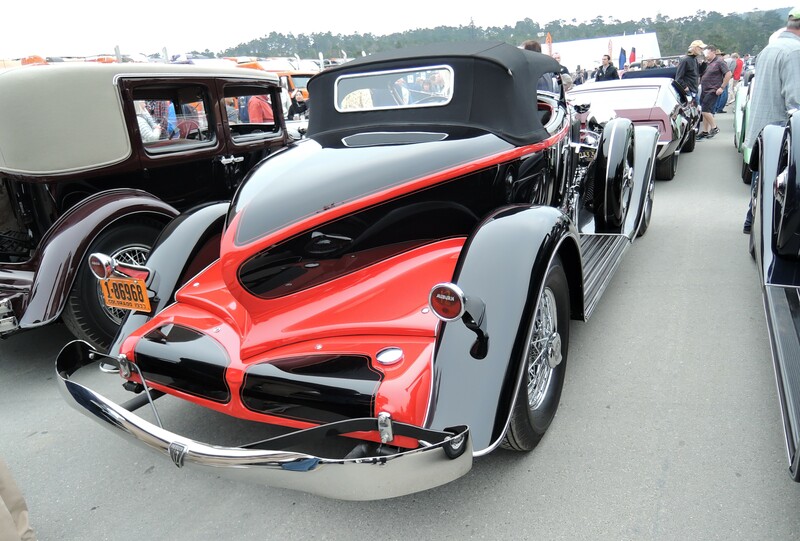 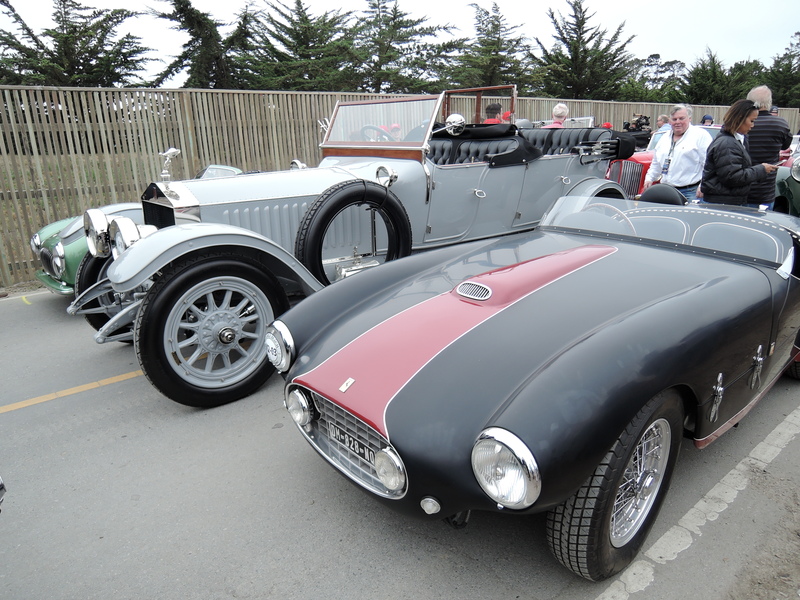 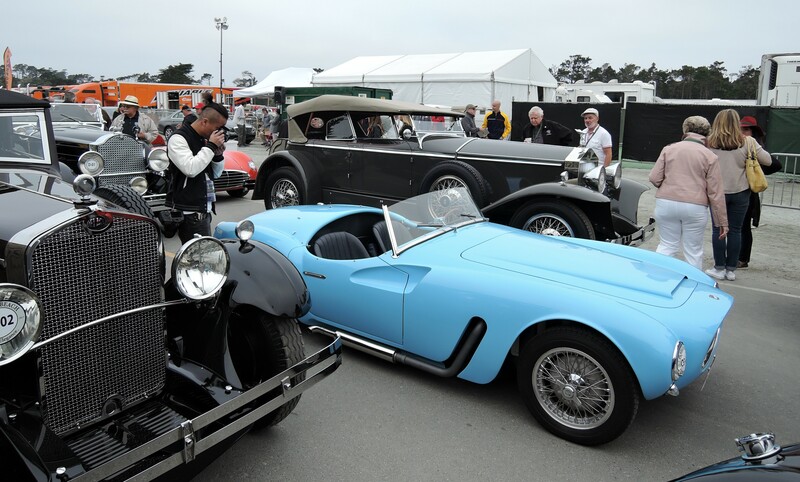 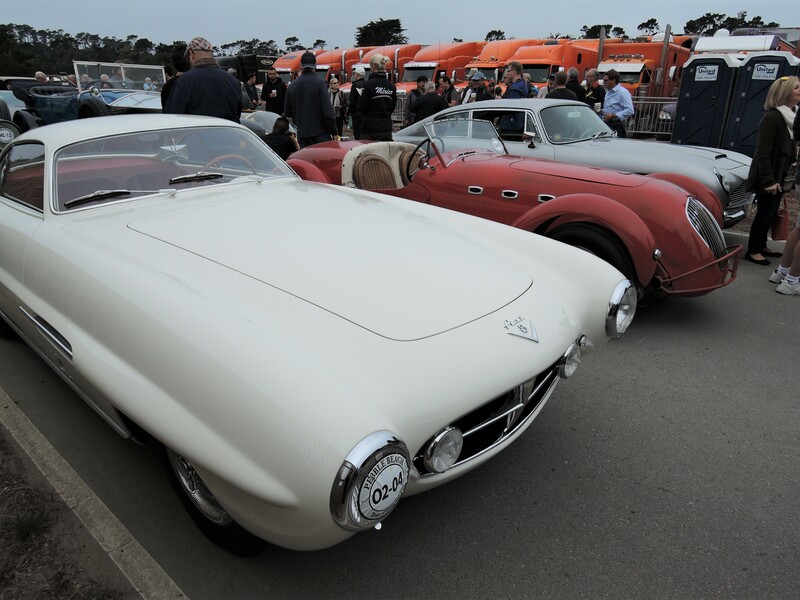 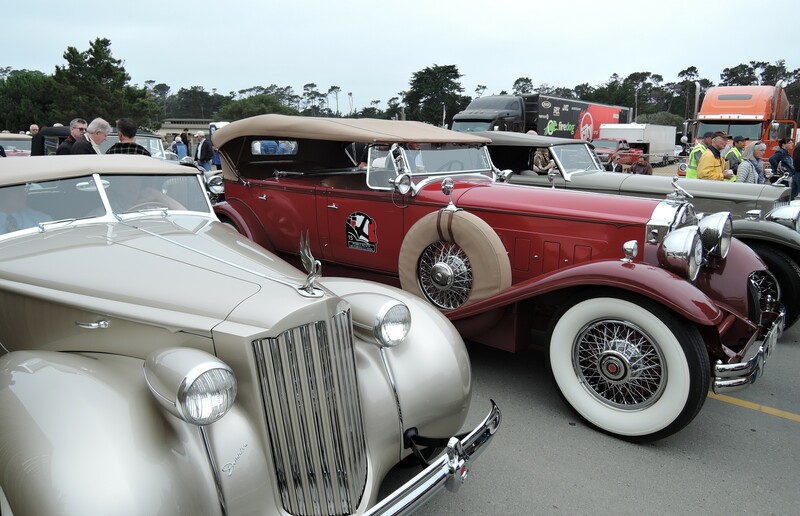 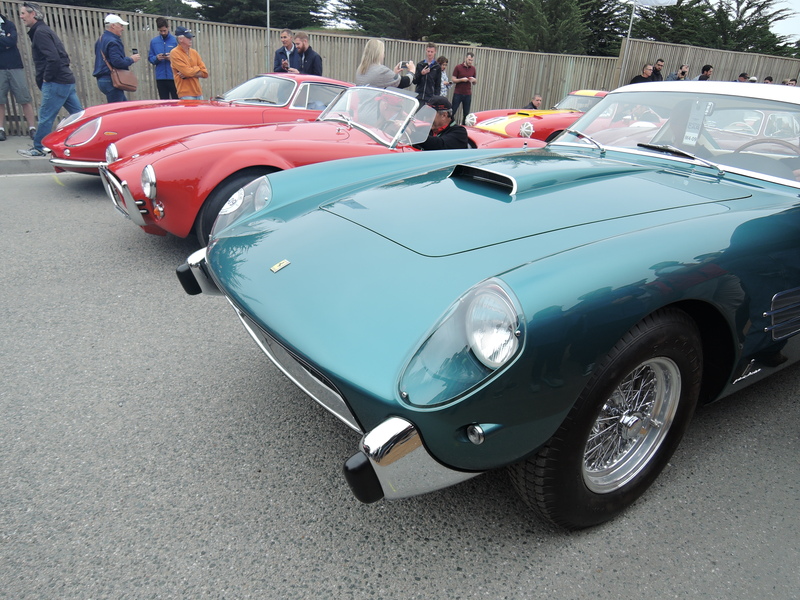 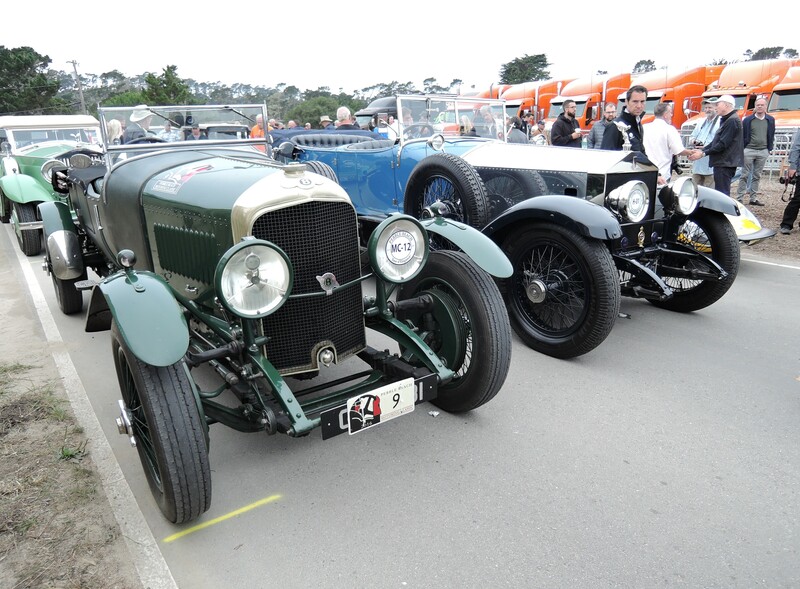 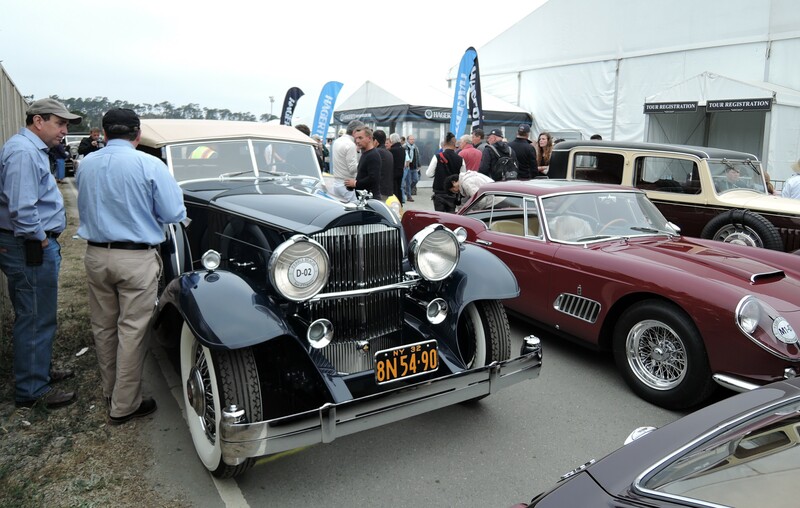 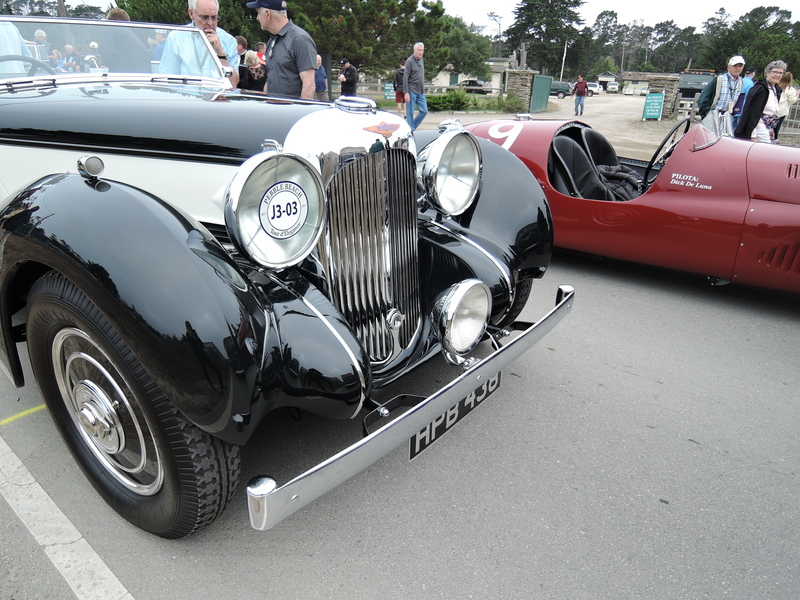 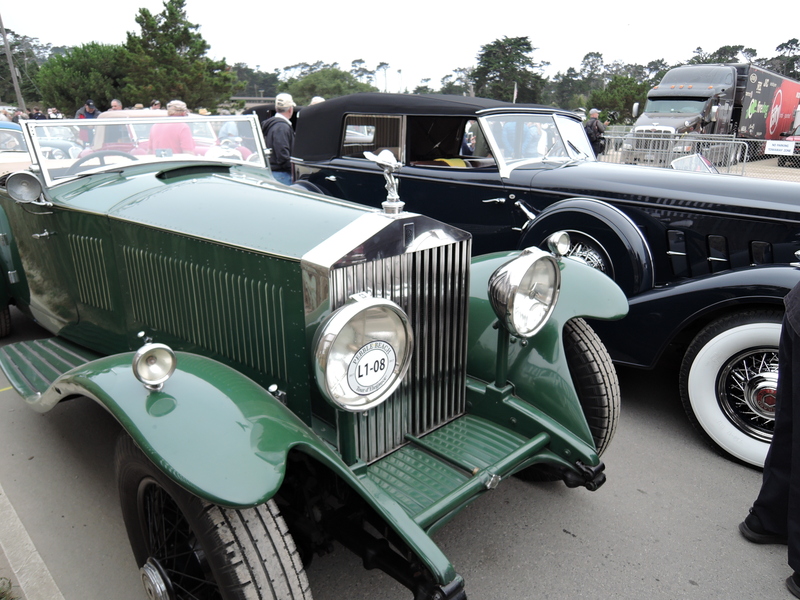 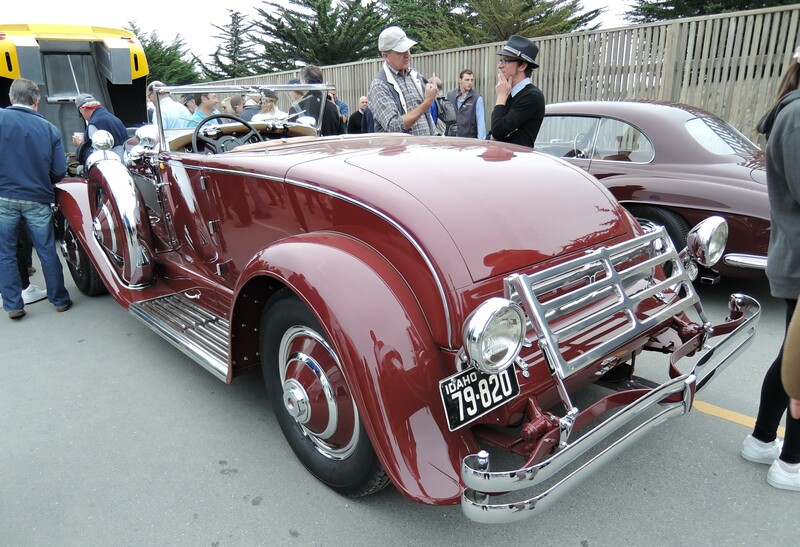 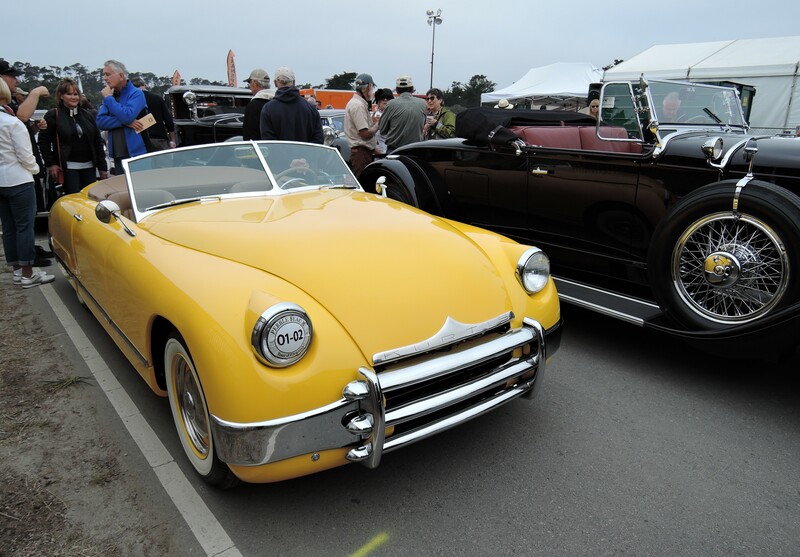 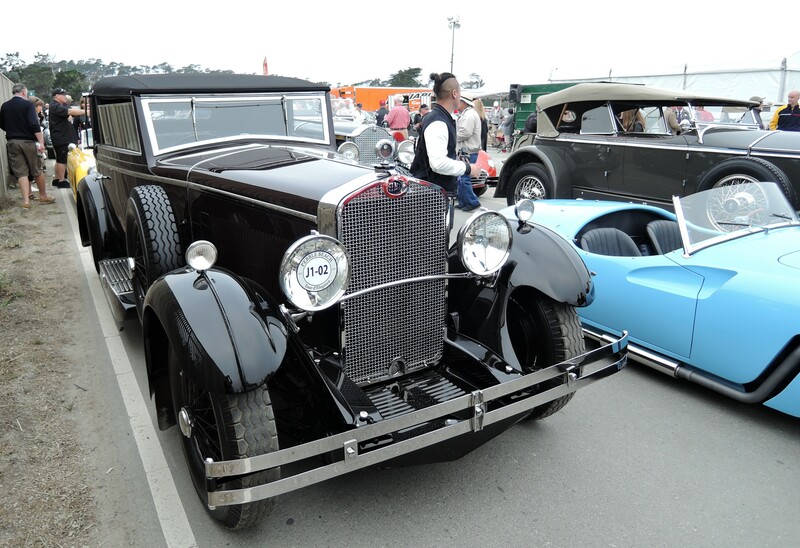 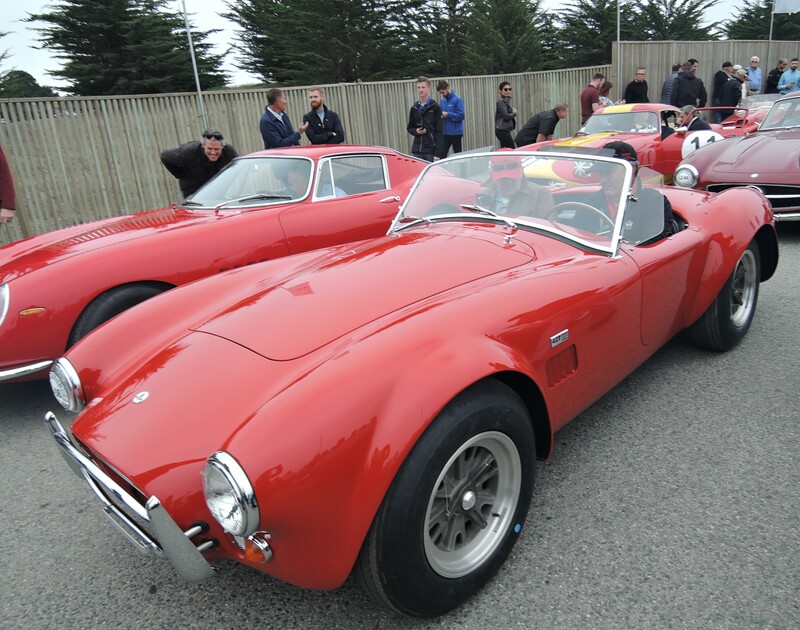 The Tour is open to all entrants of Sunday’s Pebble Beach Concours d’Elegance, and Concours entrants participate in the Tour for the sheer joy of driving their vehicle on such scenic and historic roads. 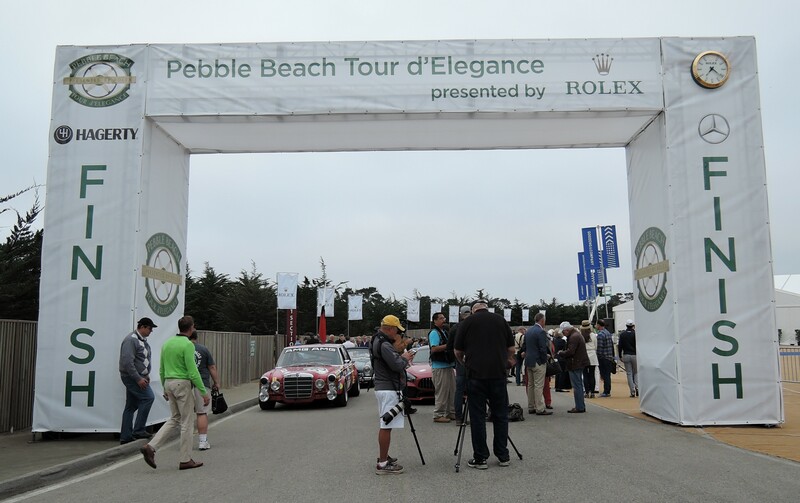 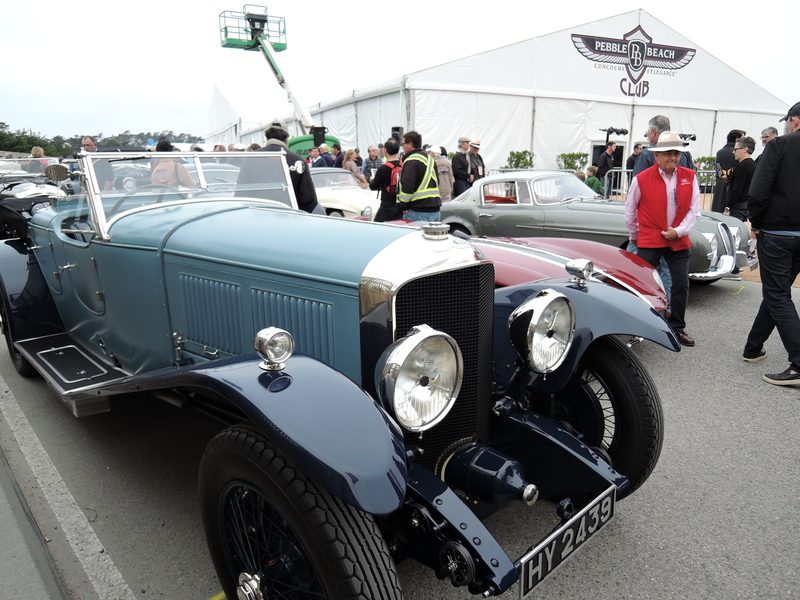 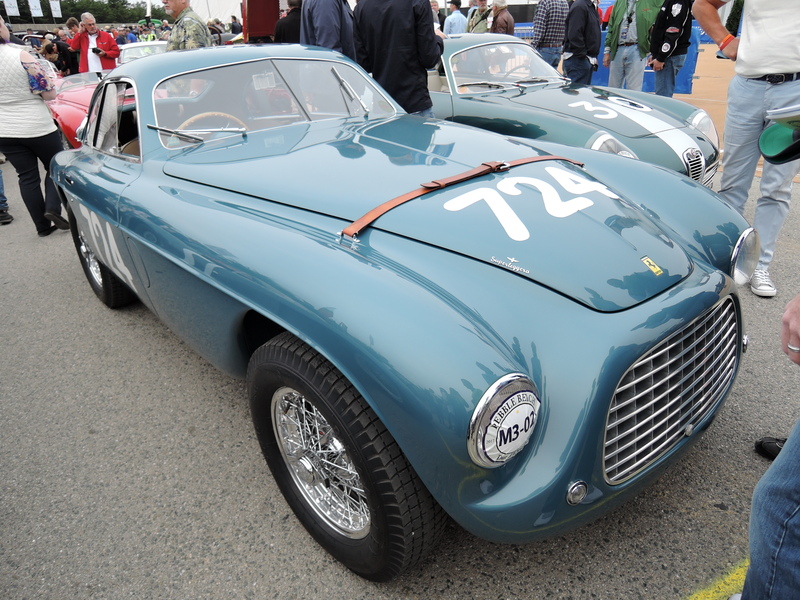 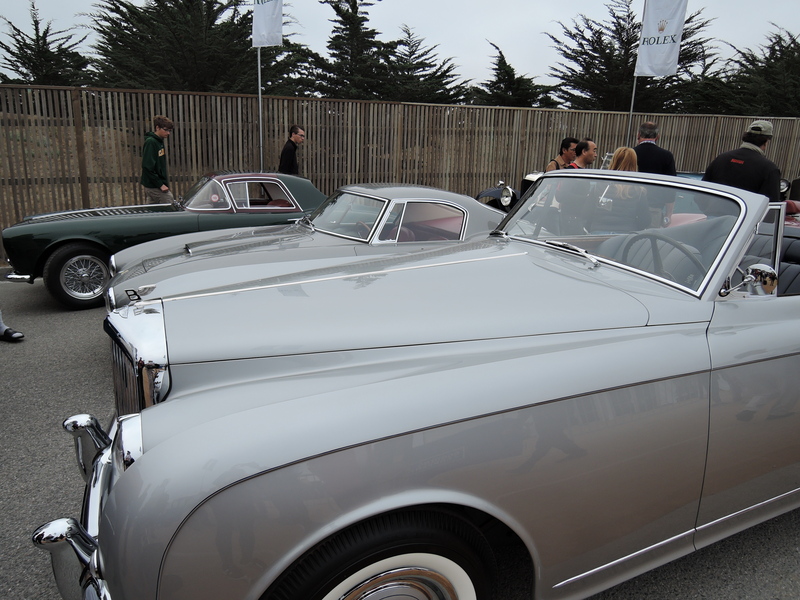 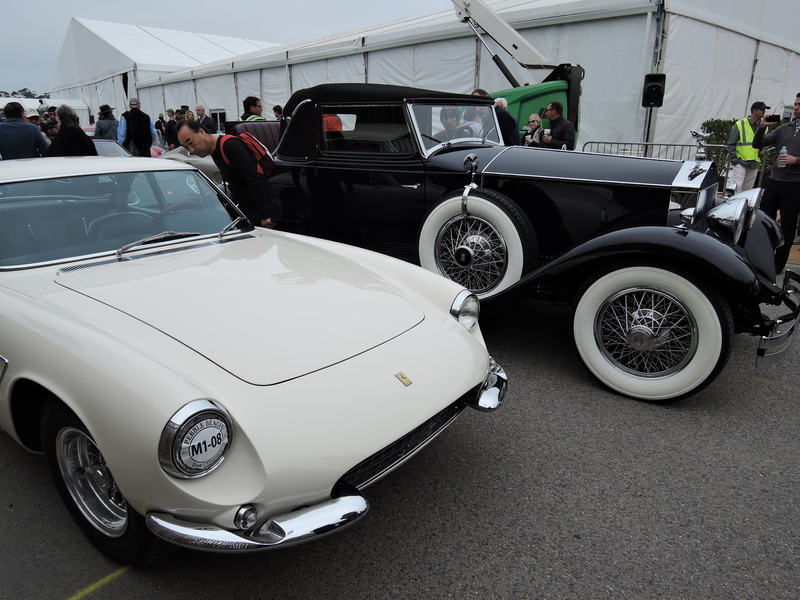 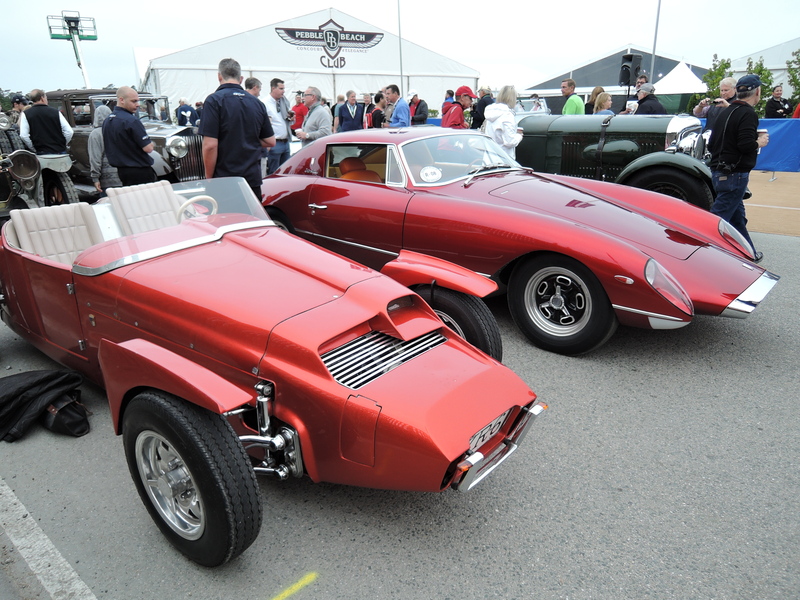 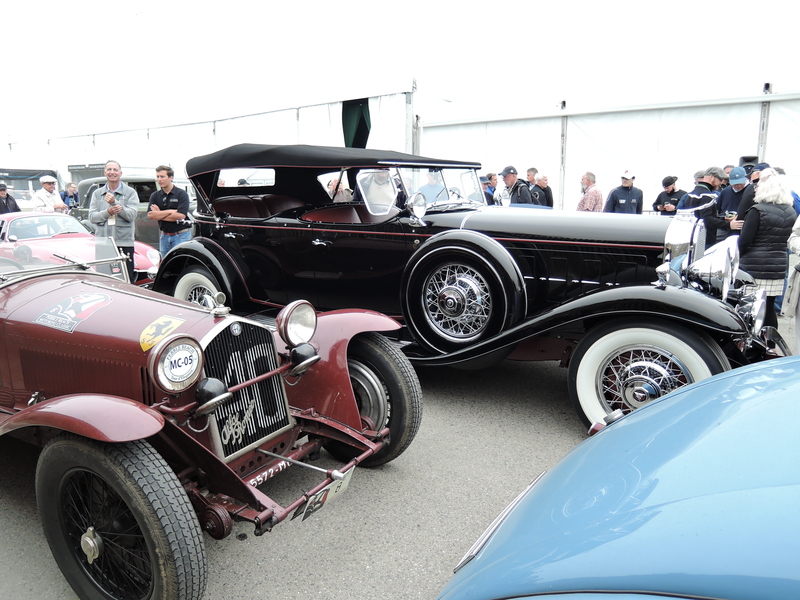 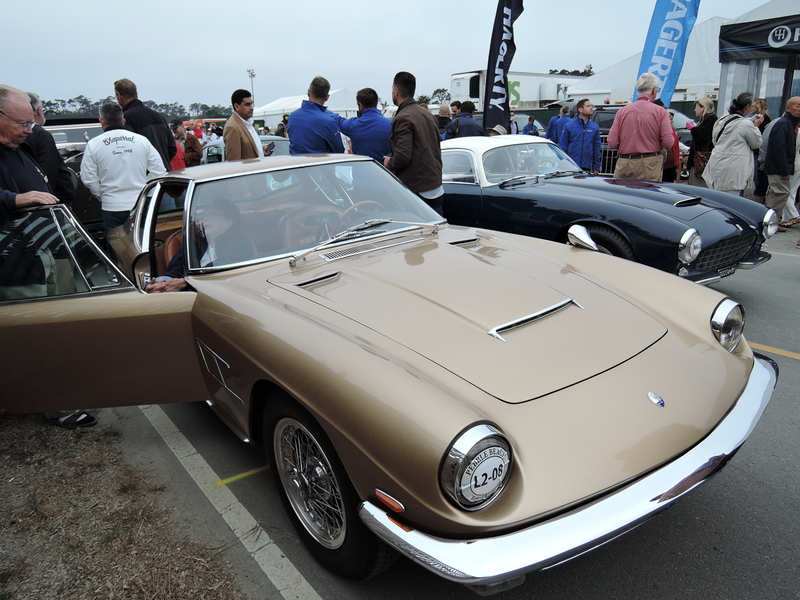 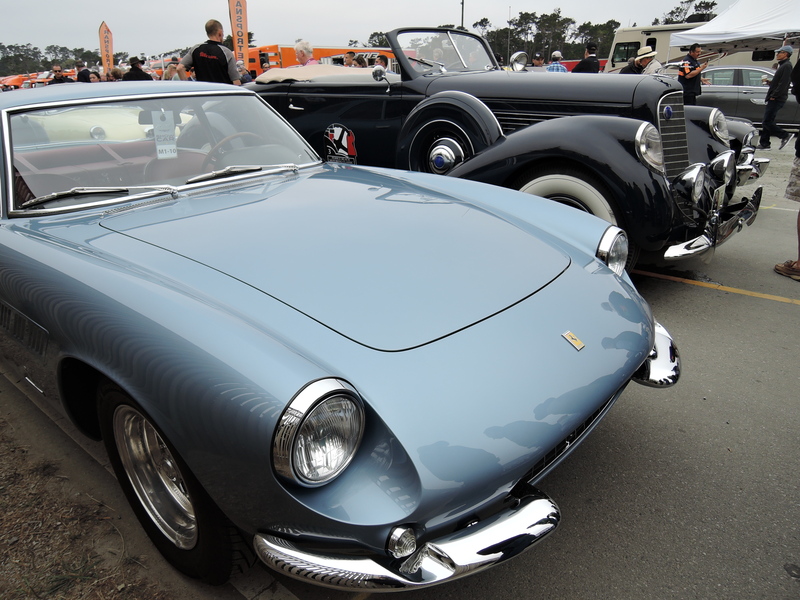 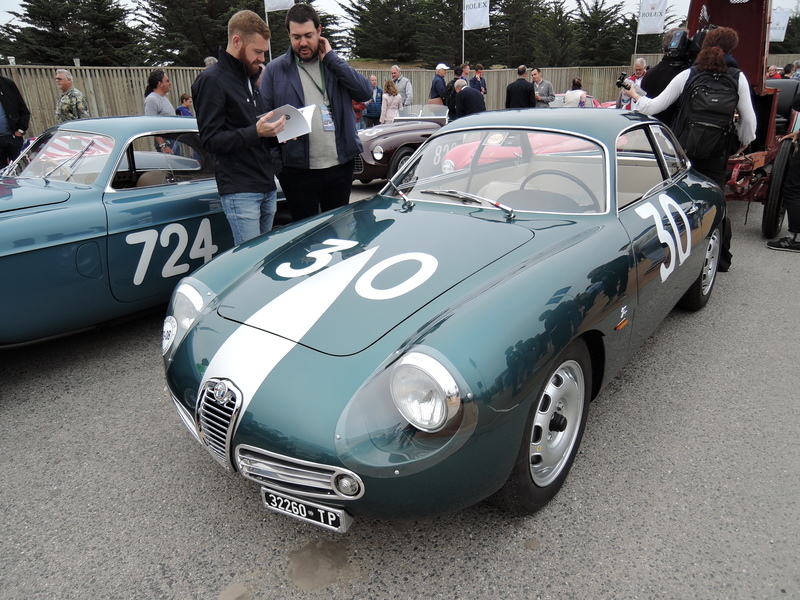 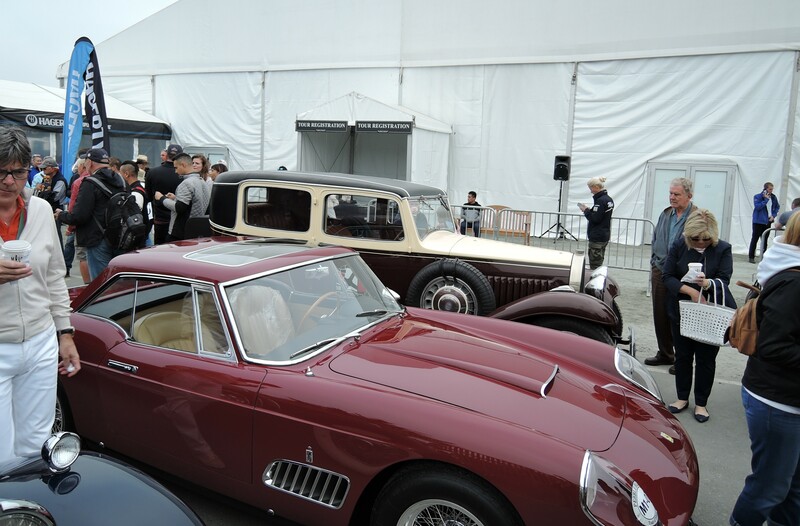 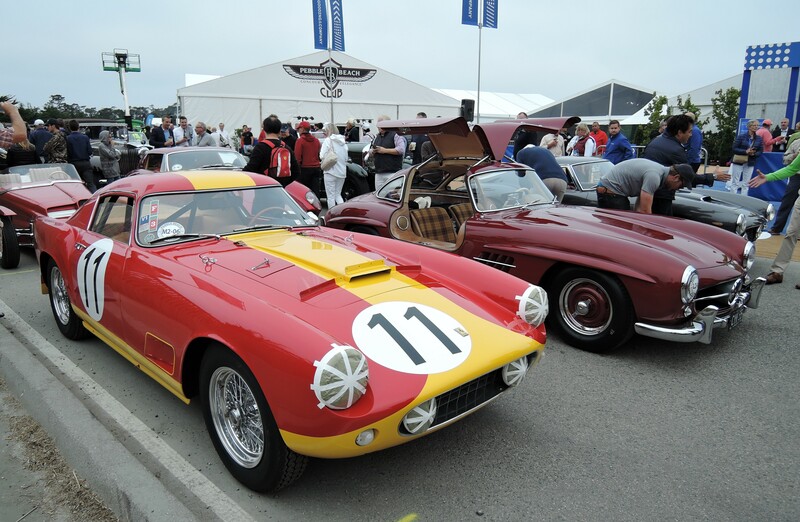 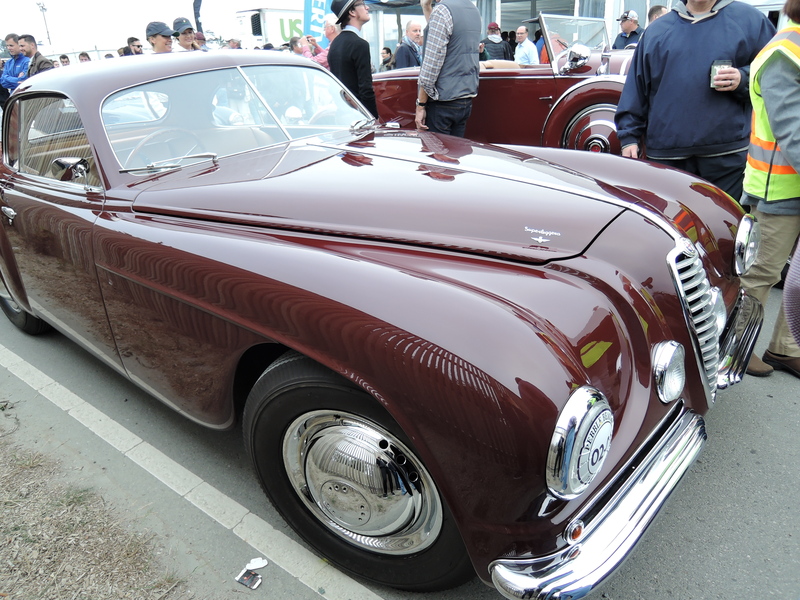 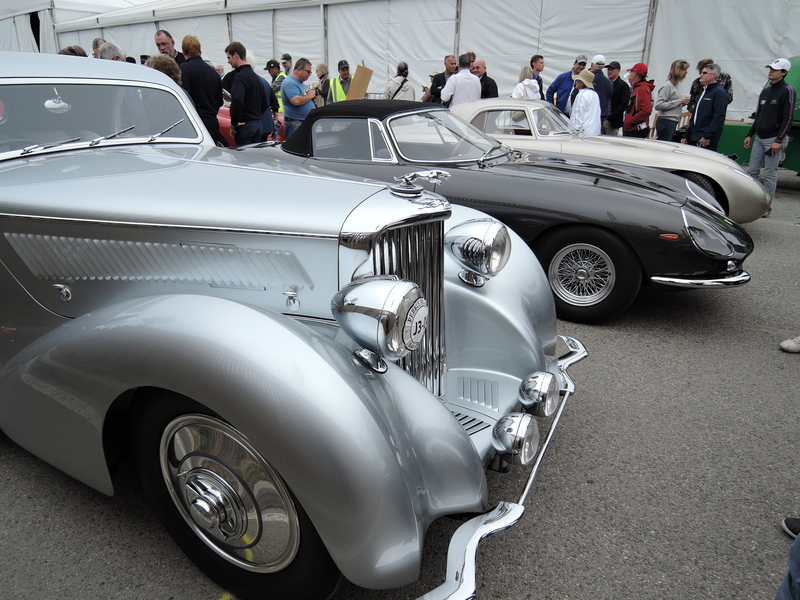 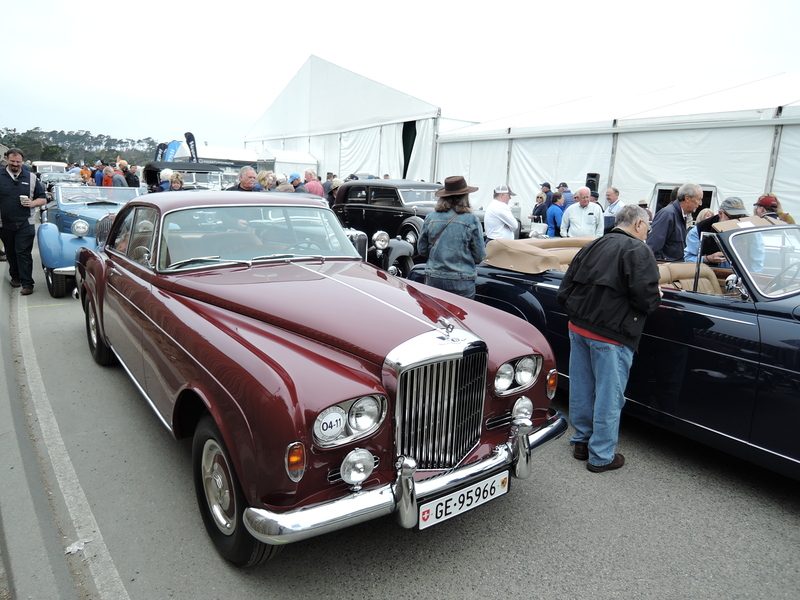 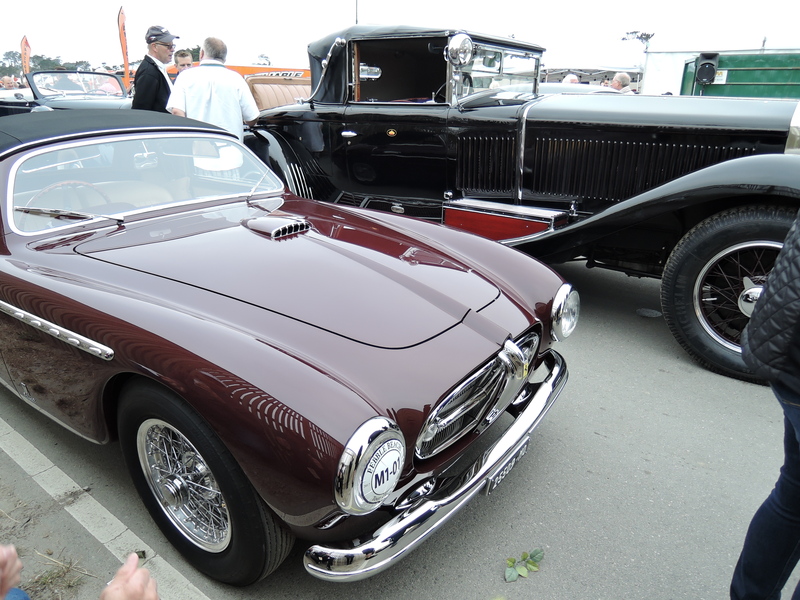 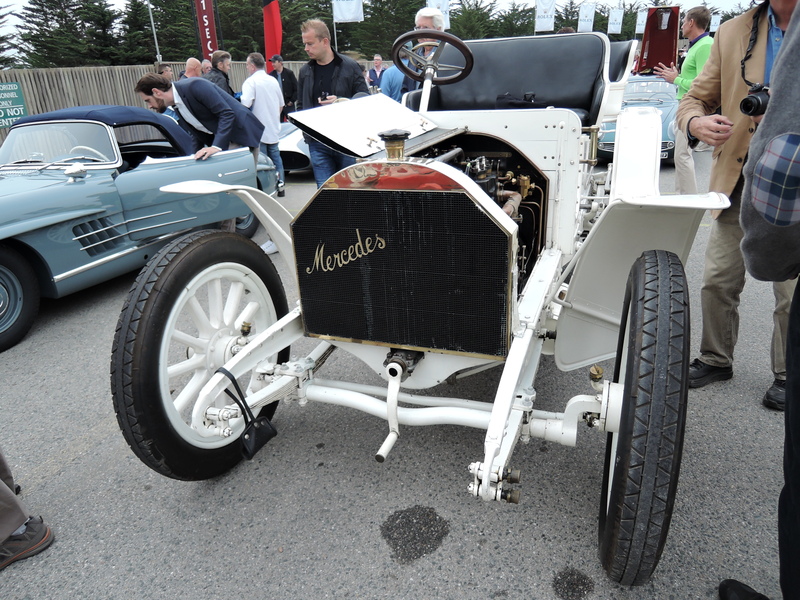 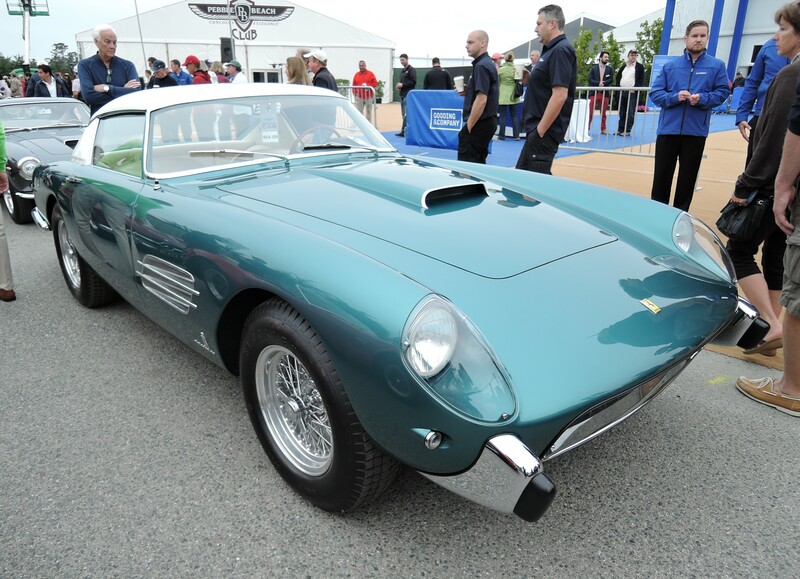 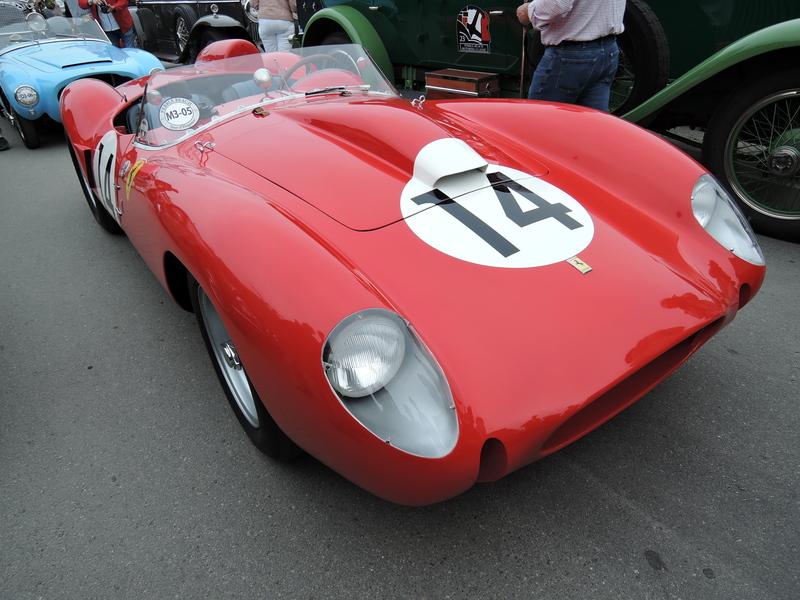 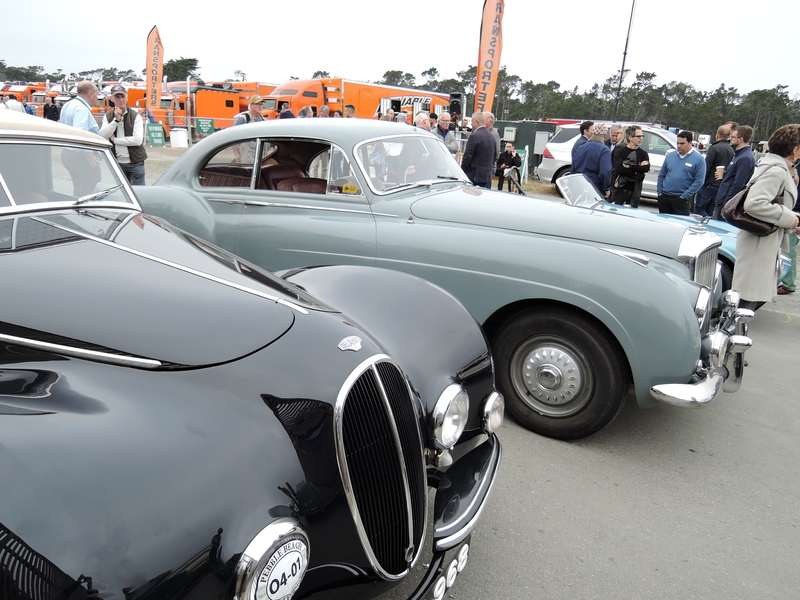 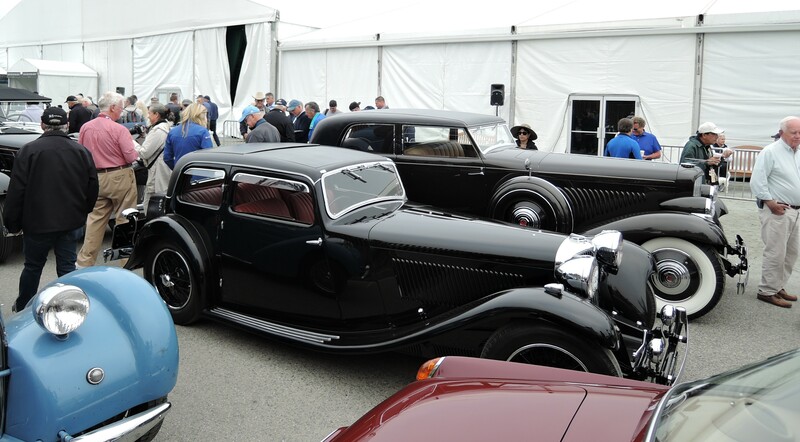 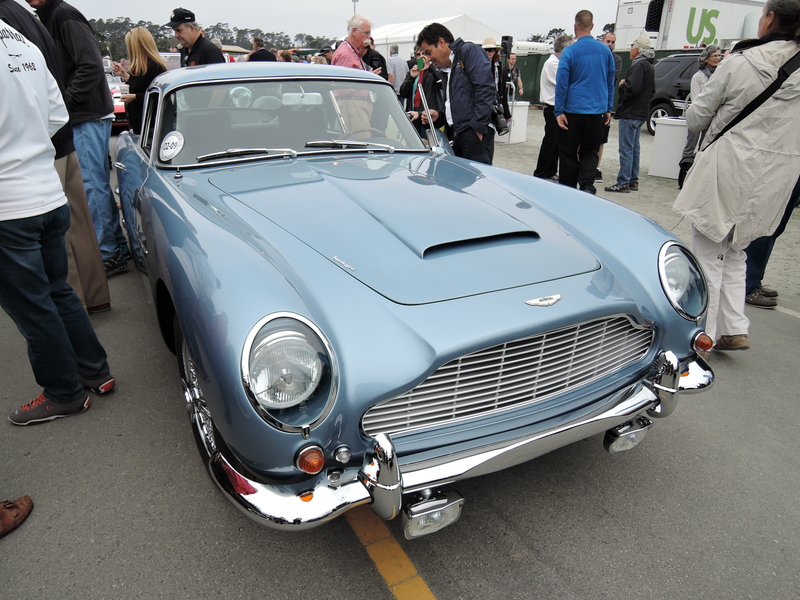 Participants also drive the Pebble Beach Tour d’Elegance knowing that if two vehicles tie in class competition at the Concours, the vehicle that has successfully completed the Tour gets the extra point. 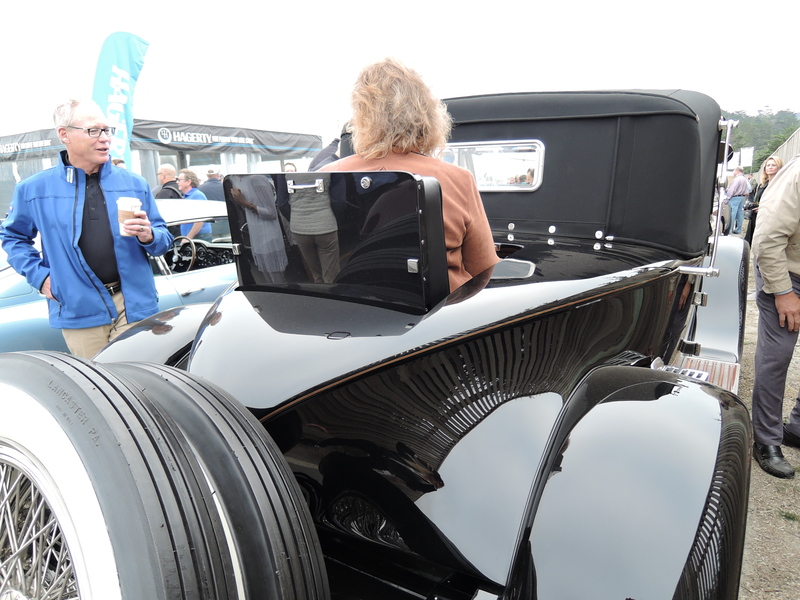 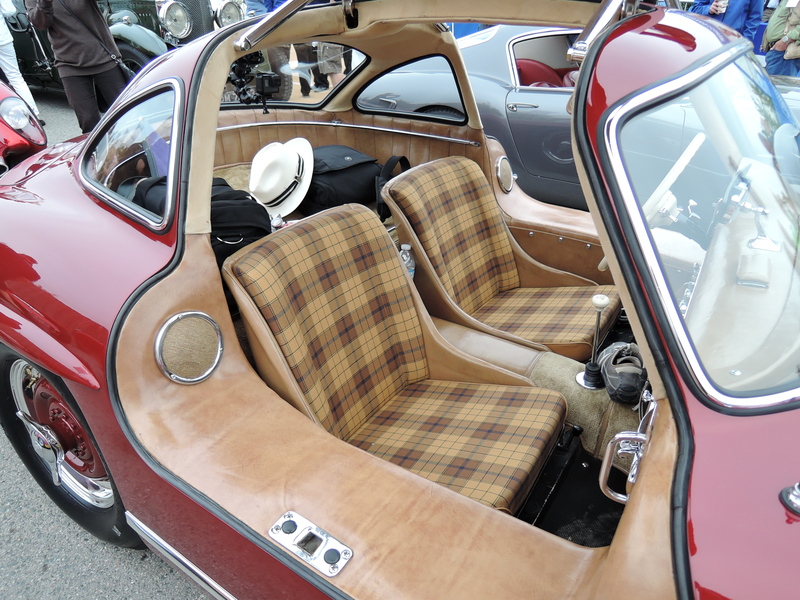 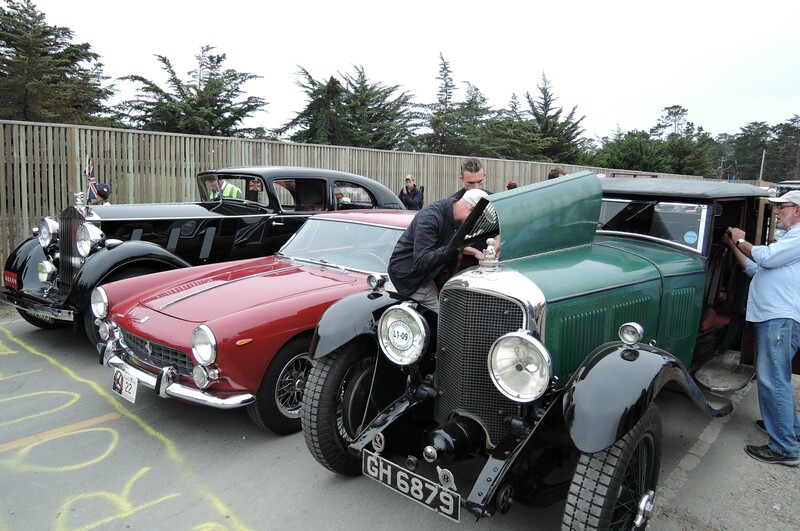 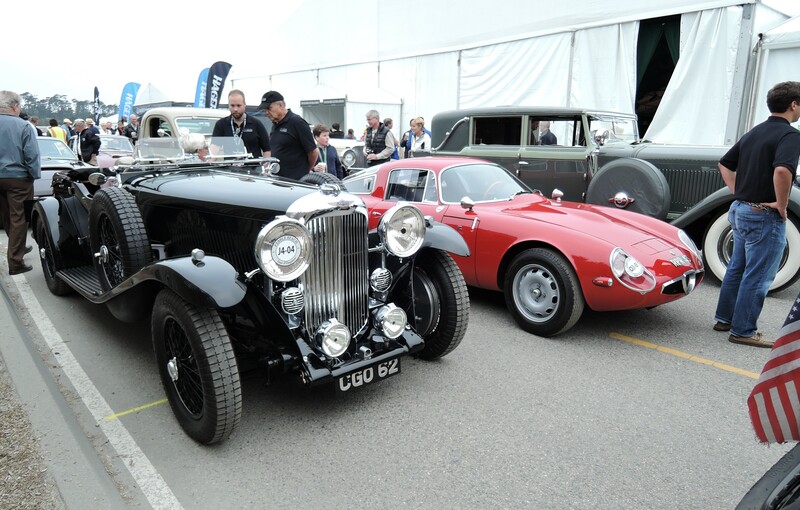 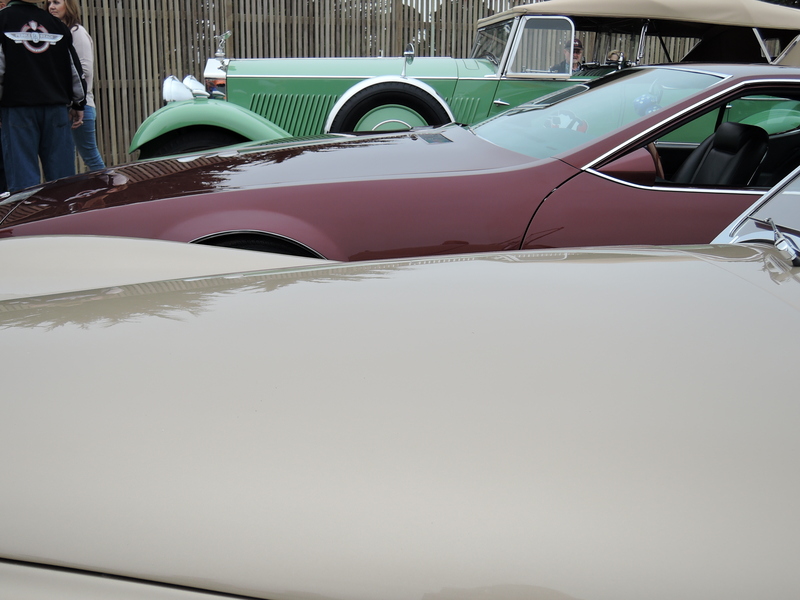 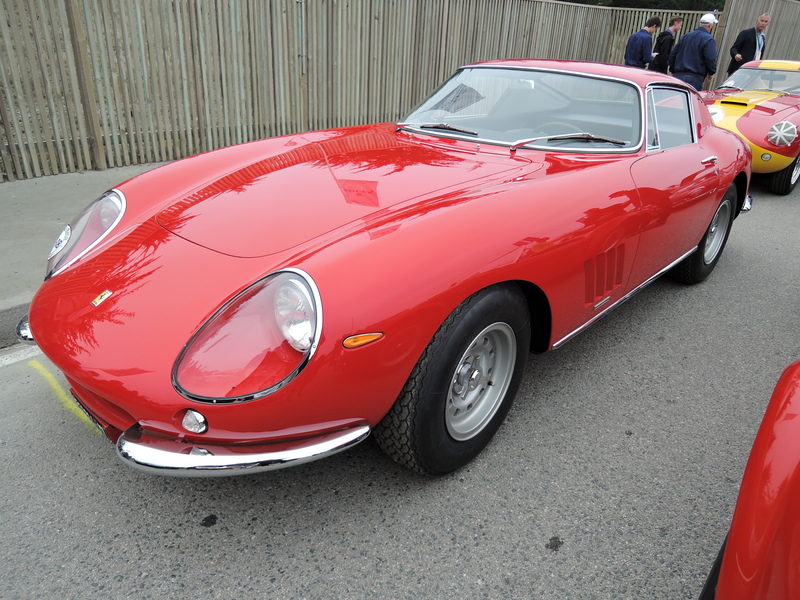 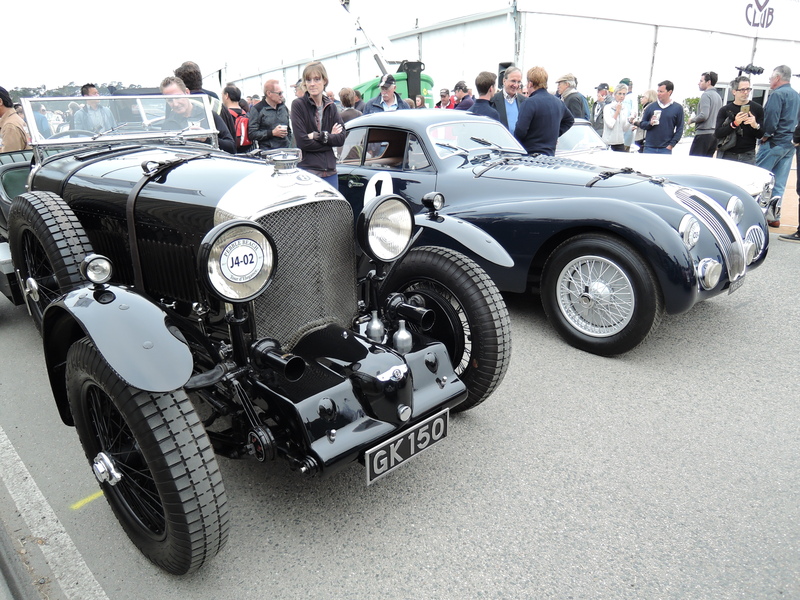 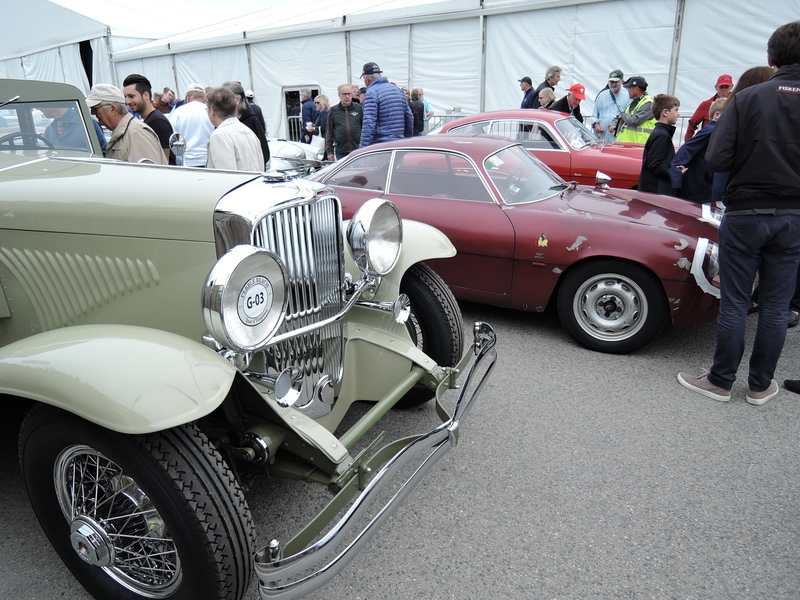 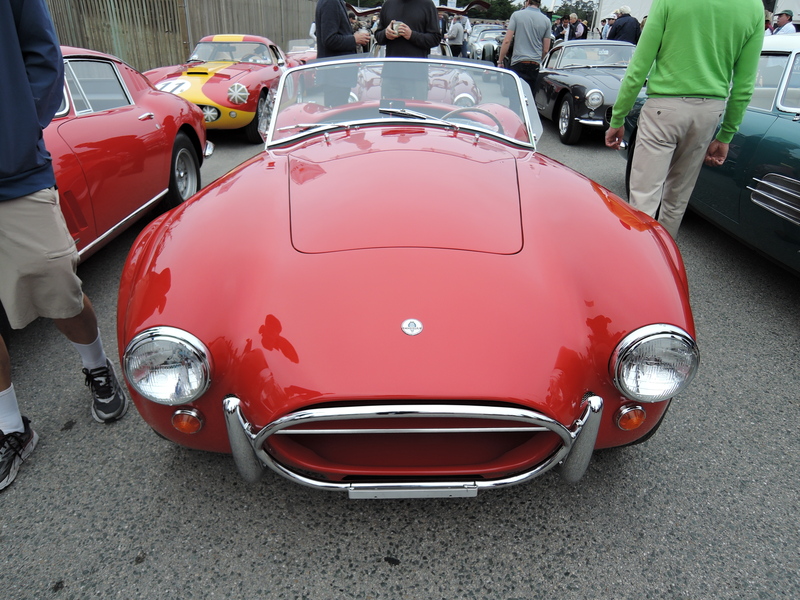 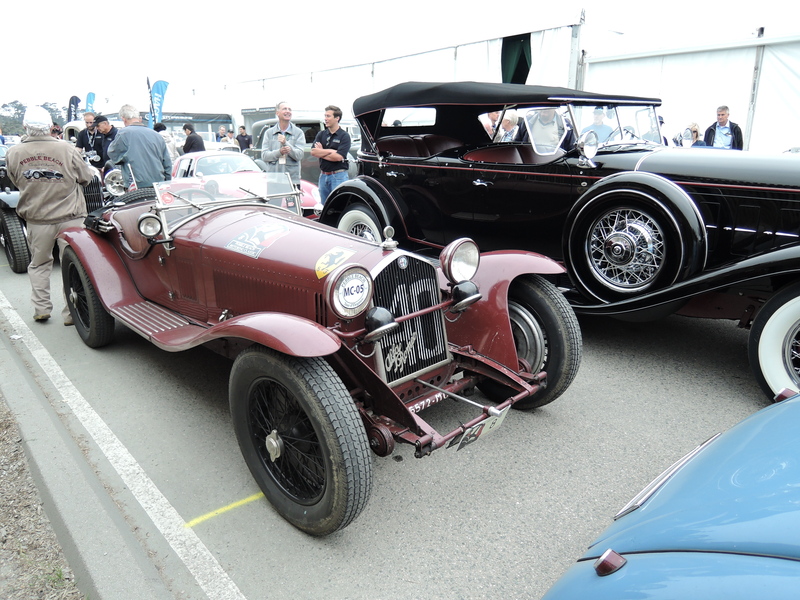 Any damage incurred on the Tour (and it does happen) will not be deducted at the Concours. 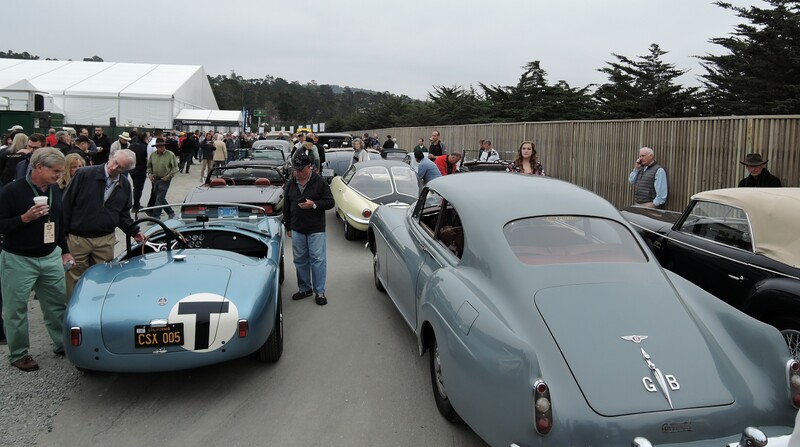 One of the many cool components of the Tour is the randomness of the car lineup, which is essentially as-they-arrive to the Equestrian Center. 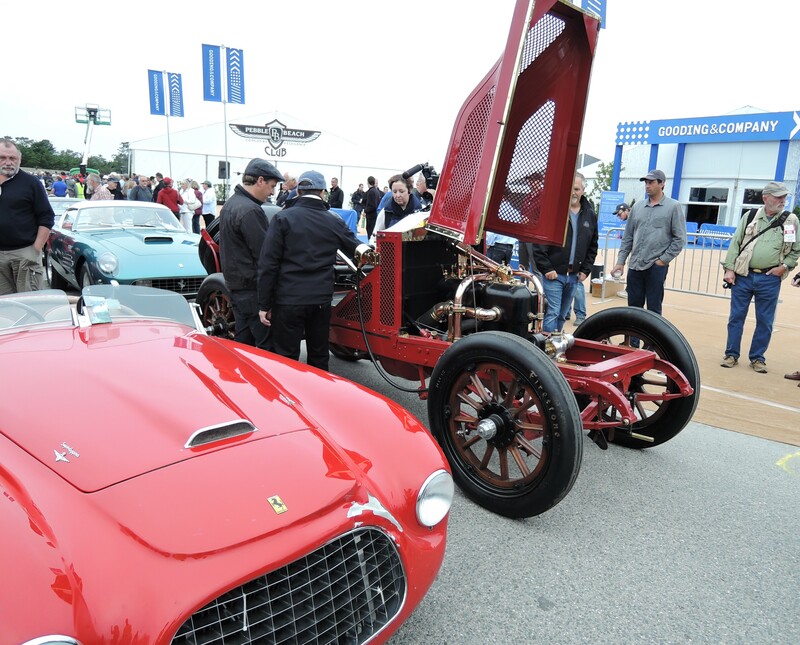 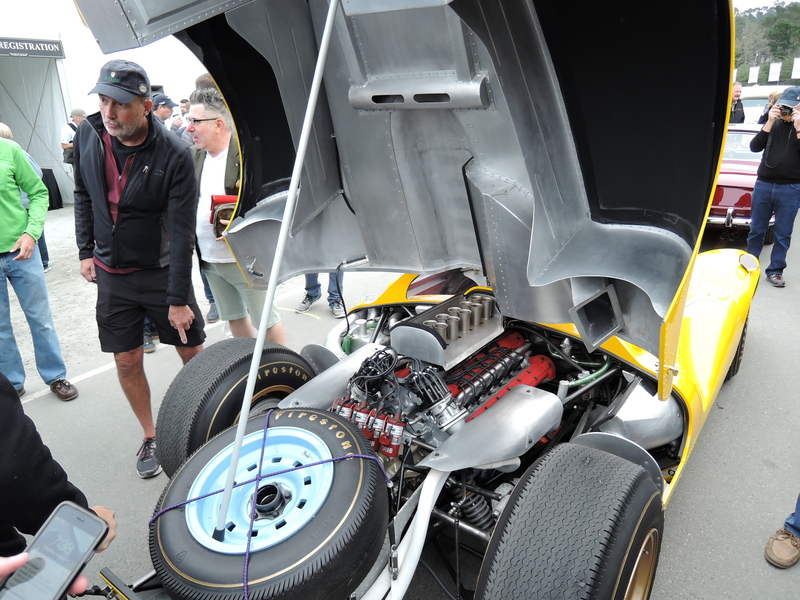 A turn-of-the century Mercedes Simplex could be next to Harold Yeaggy’s 1967 Ferrari 412 P , which is next to a 1933 Rolls Royce Phantom II. 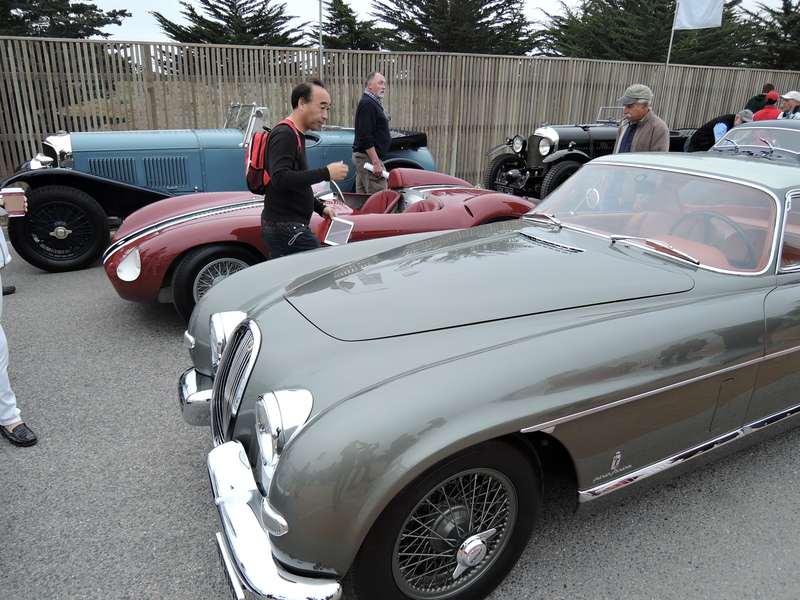 And they all play together nicely on the Tour. 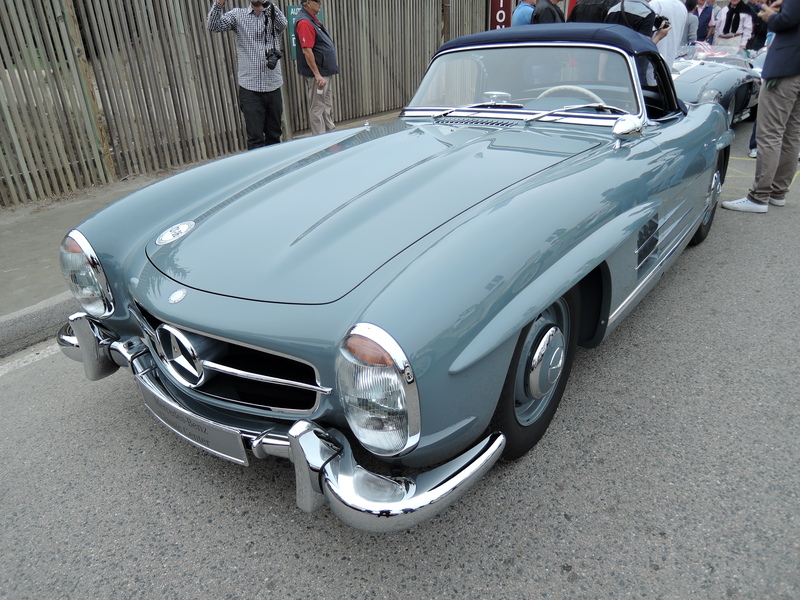 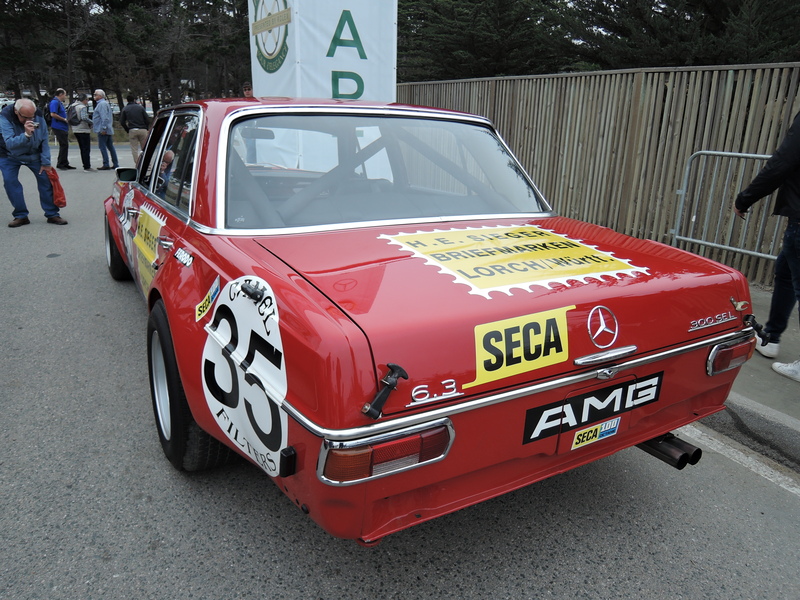 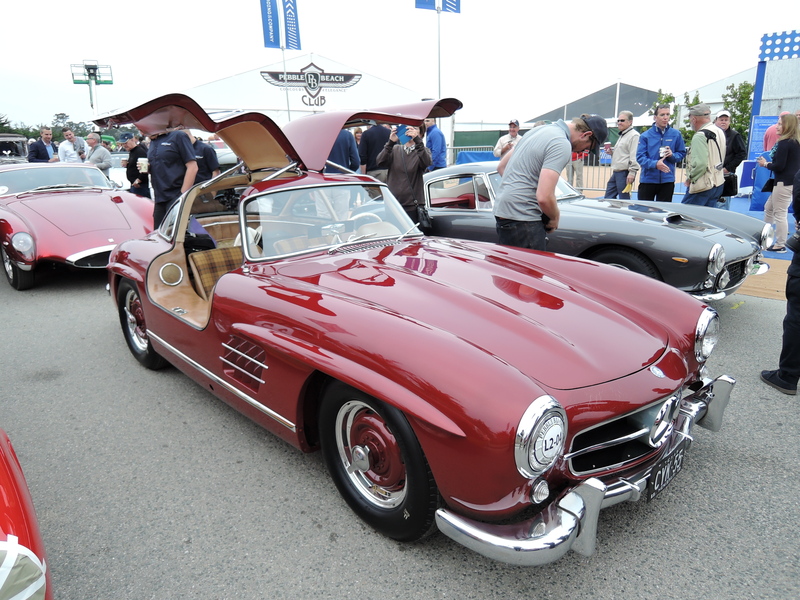 The Pebble Beach Tour d’Elegance was once again led by Sir Stirling Moss and wife Susie in a Mercedes Benz 300SL Roadster. 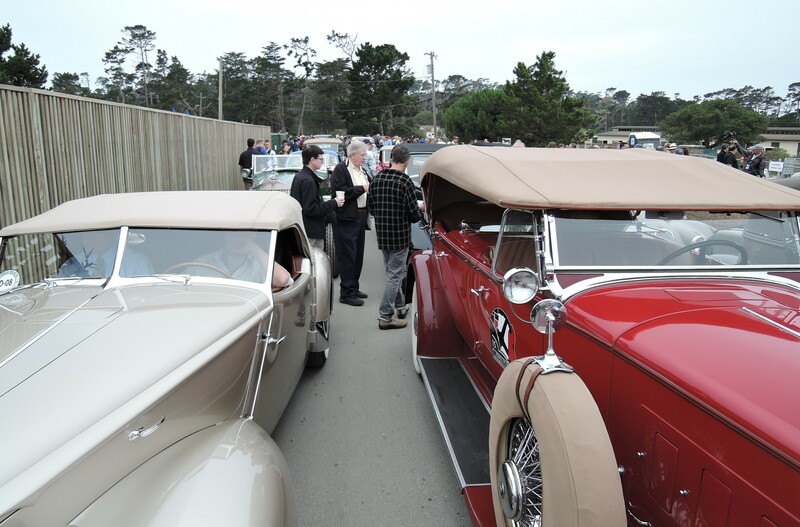 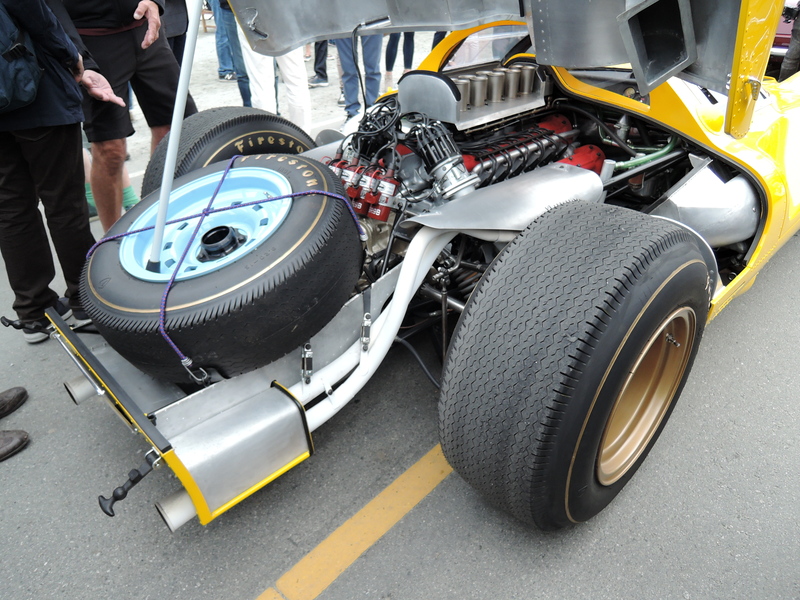 Individual pictures of the cars are difficult to capture, as you will note, since the event is very crowded and the space is tight; 3 cars wide down a narrow dusty road. 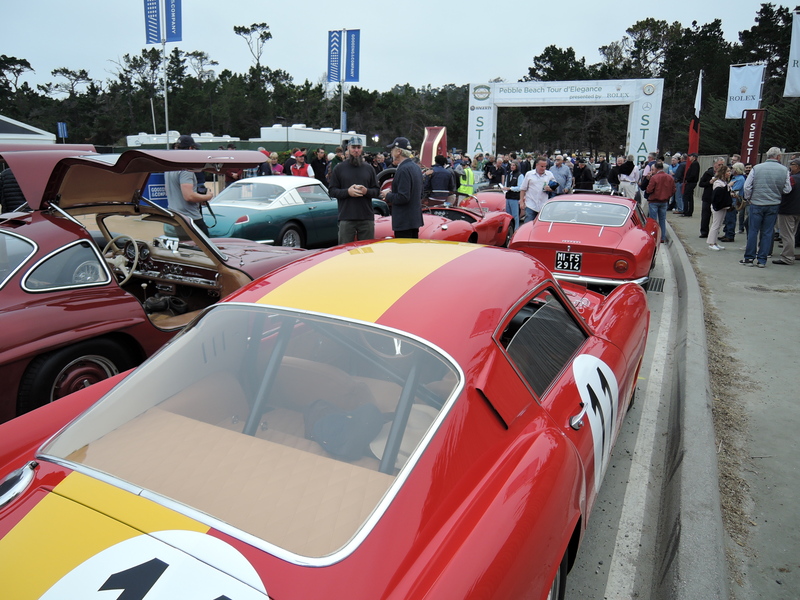 Yet morning line up brings out a respectful and enthusiastic car crowd. 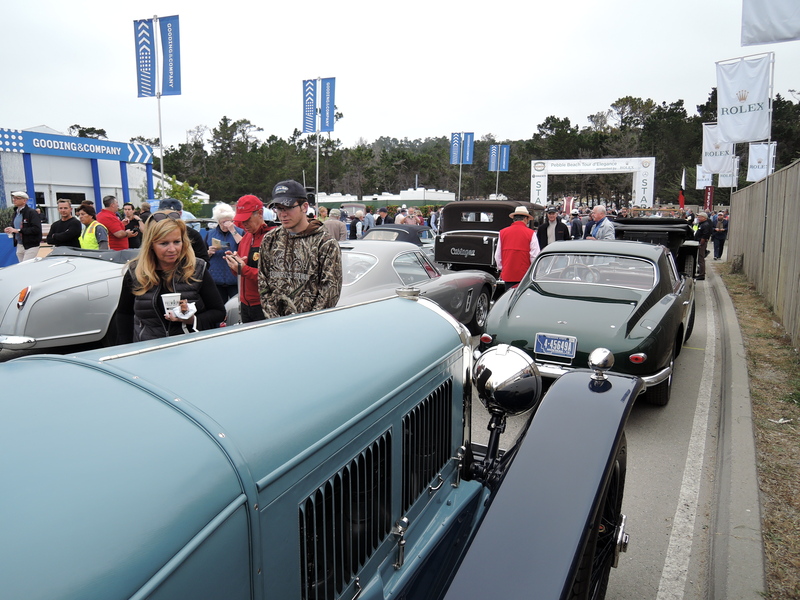 More enthusiasts line the route enjoying the sight and sound of the passing tour cars, just wonderful. 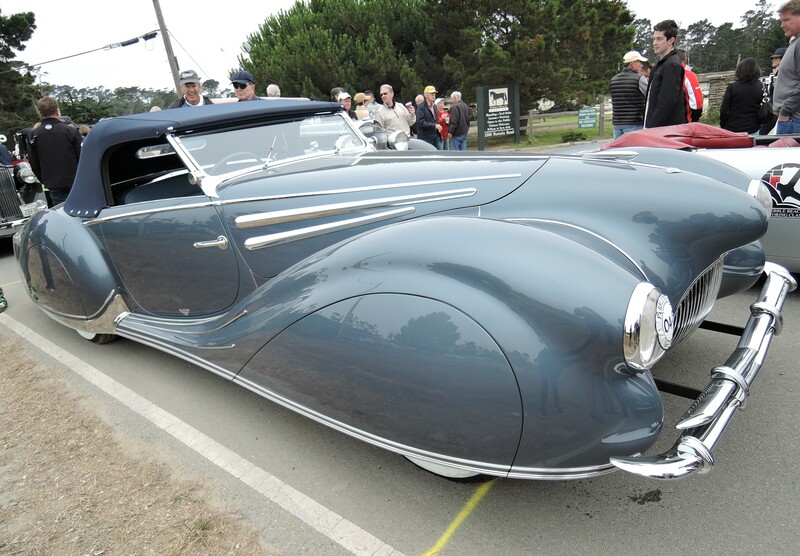 Noontime in Carmel is a different vibe. 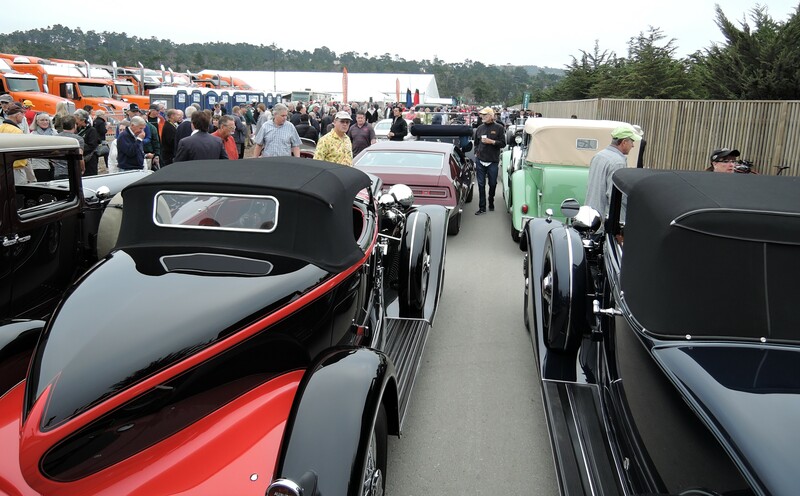 The cars are parked nose to tail and while drivers and companions have lunch, hoards of people descend upon the vehicles. 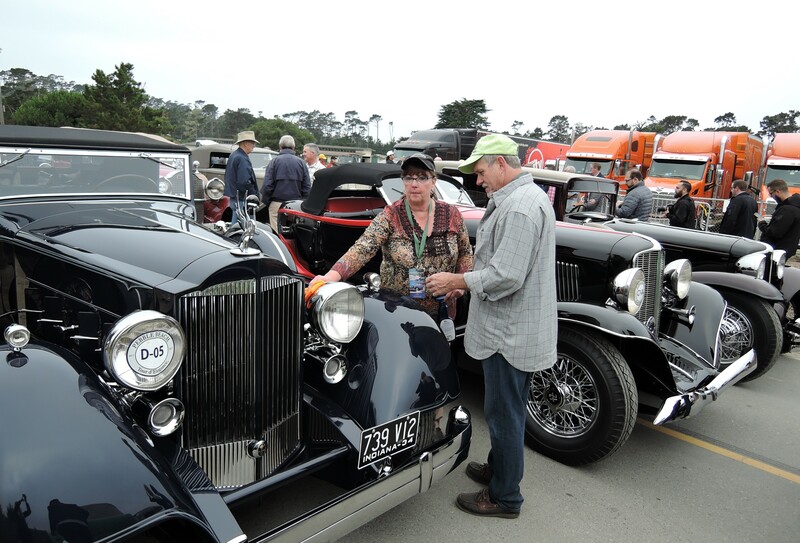 There are many non-car people some with dogs, strollers, kids who touch, lean, swing their bags or cameras. 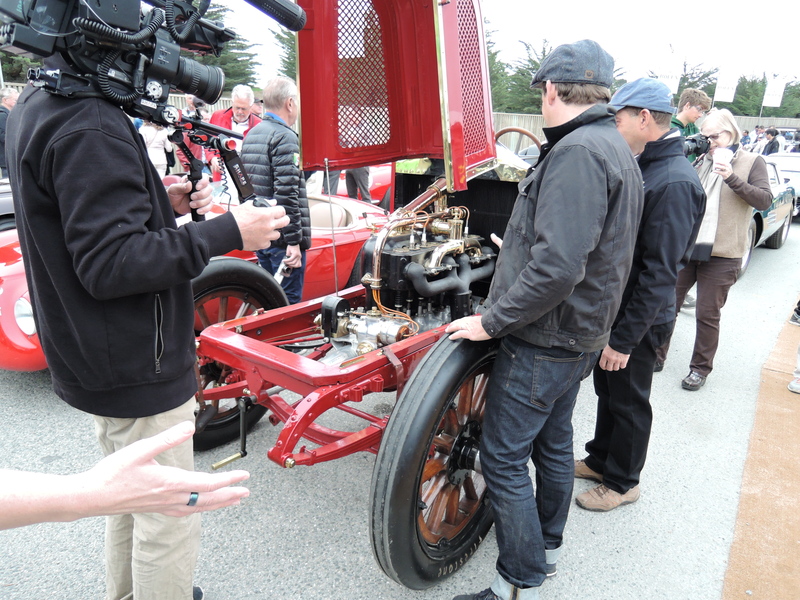 The Tour is terrific but this part is hard to watch.